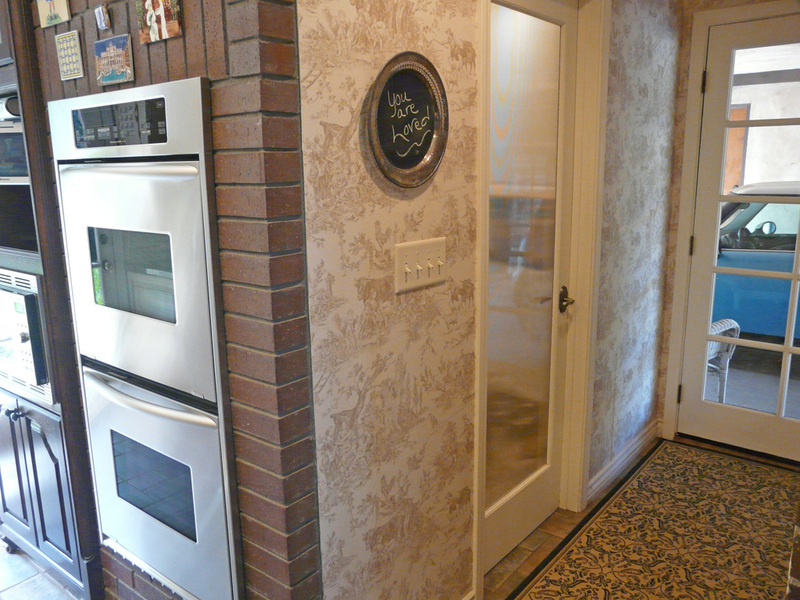 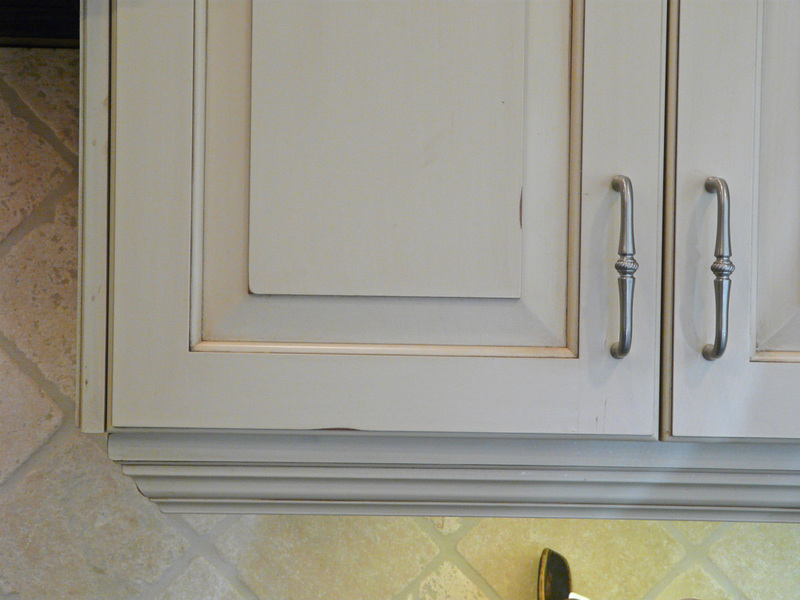 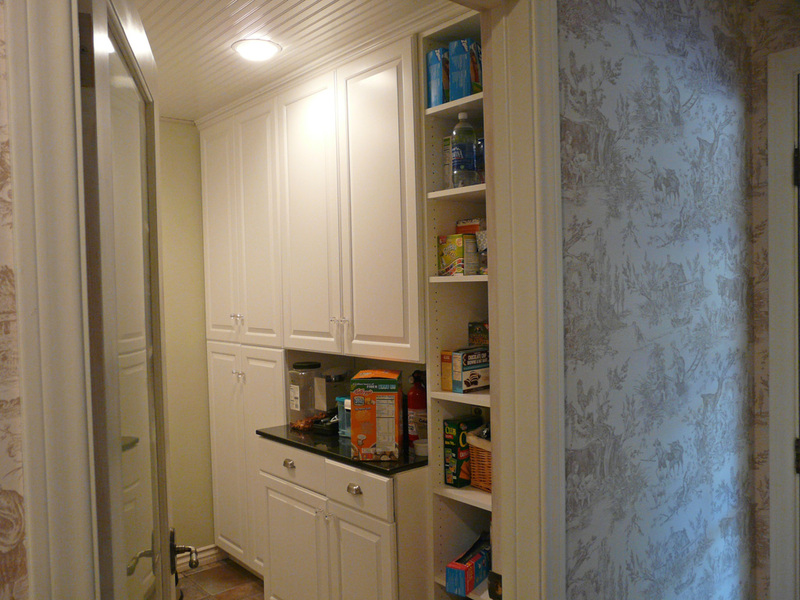 Walk-in pantry was filled with white thermofoil cabinets which look like paint but are far more durable and long lasting. 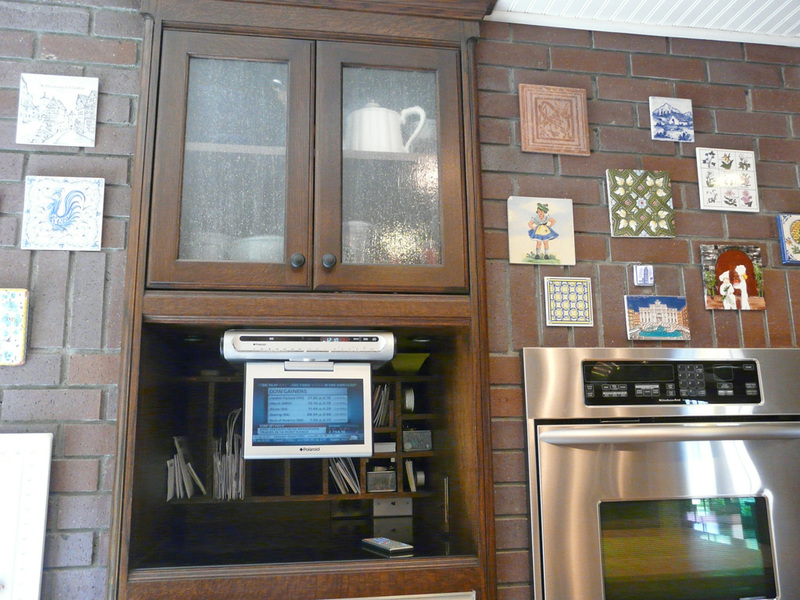 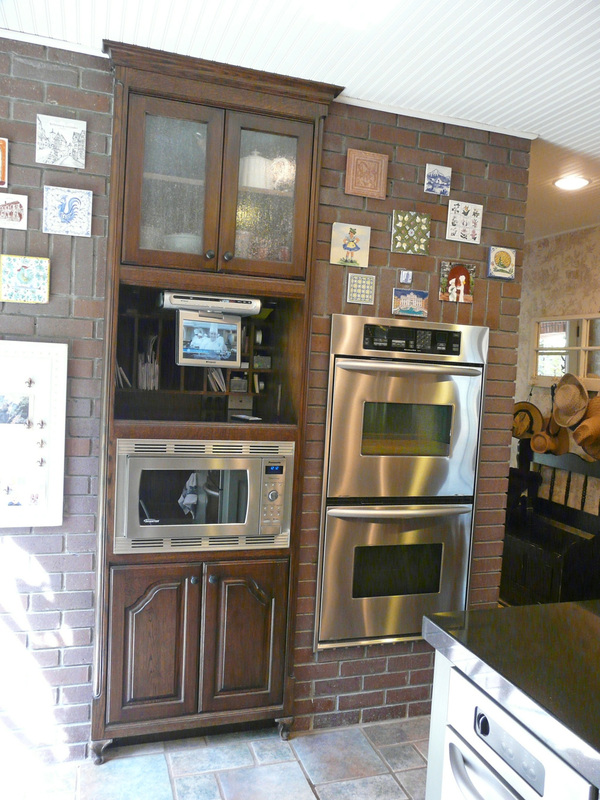 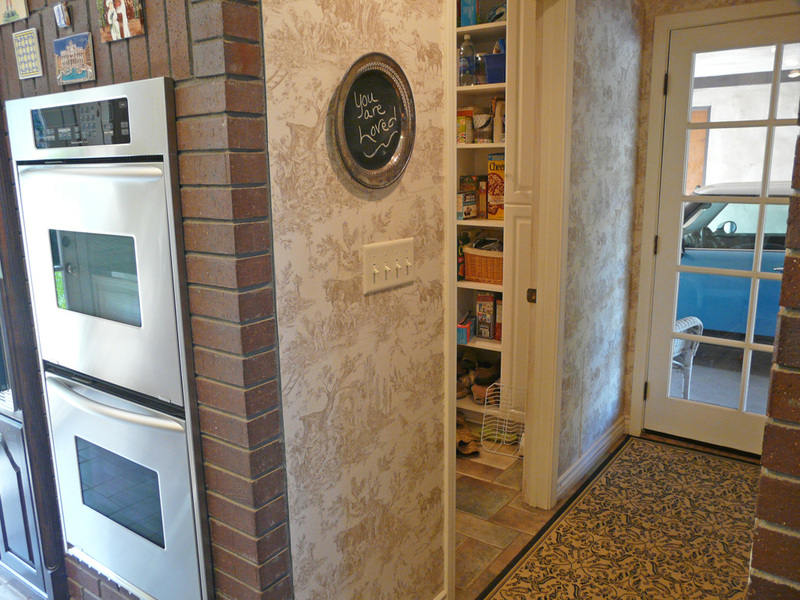 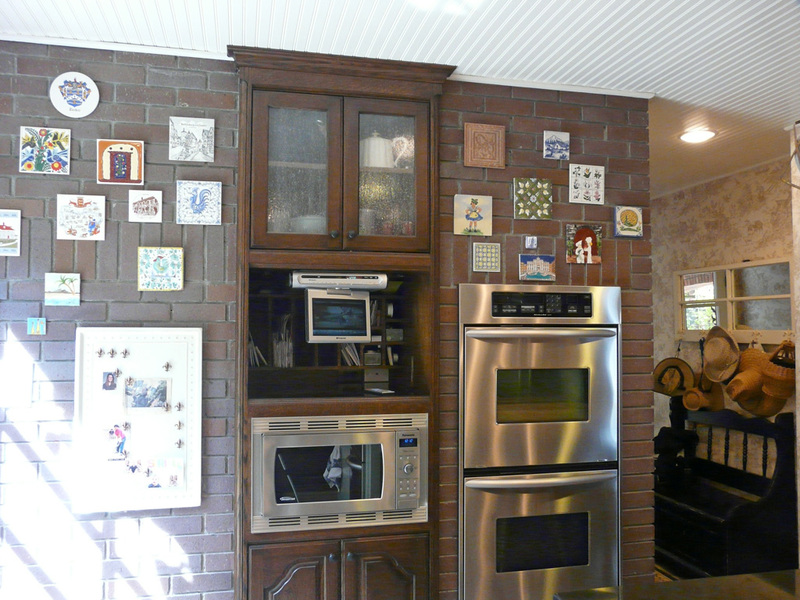 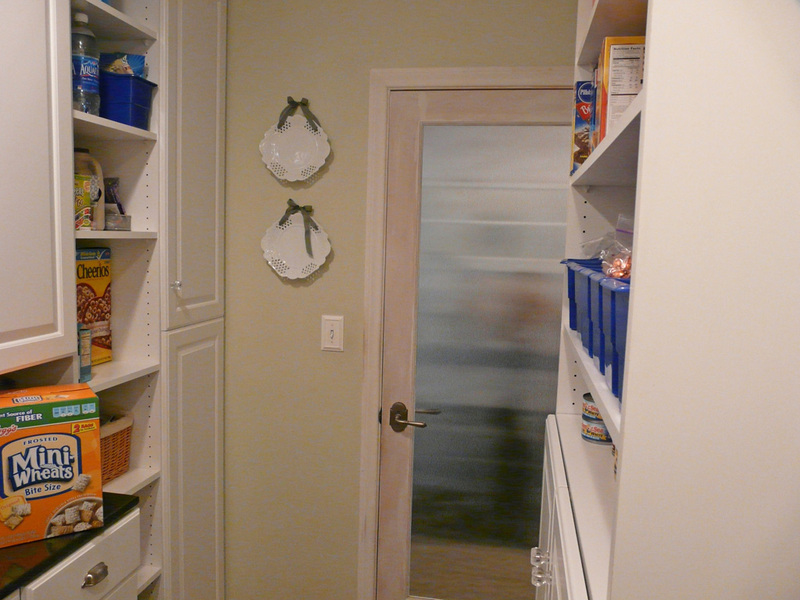 This pantry captures some original waisted space behind the kitchen brick faced wall and over the oven. 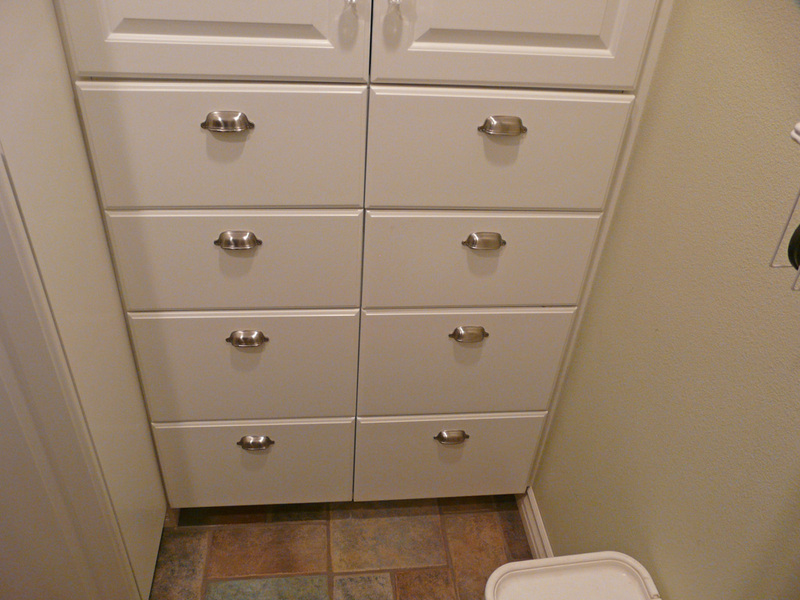 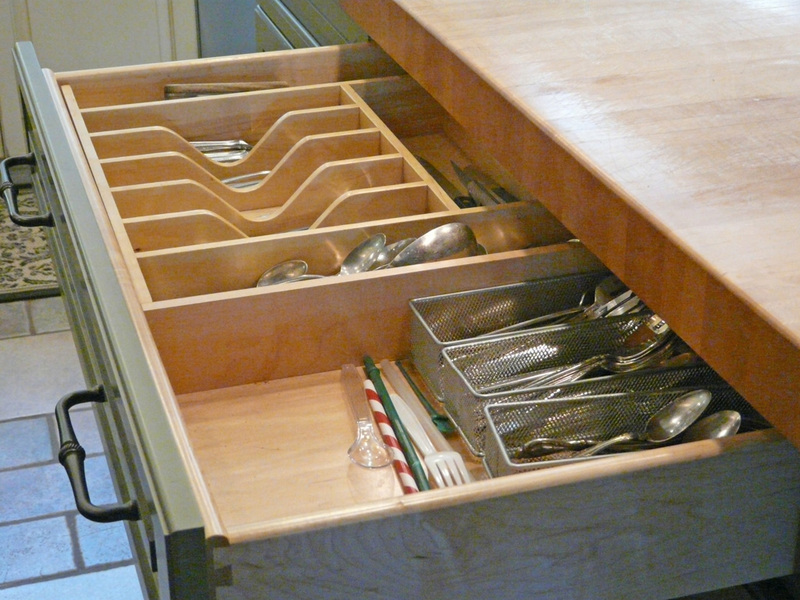 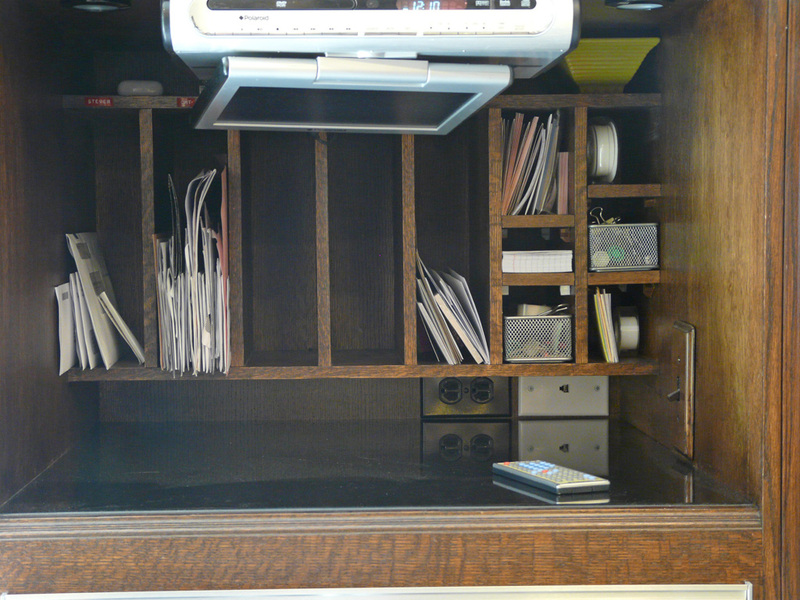 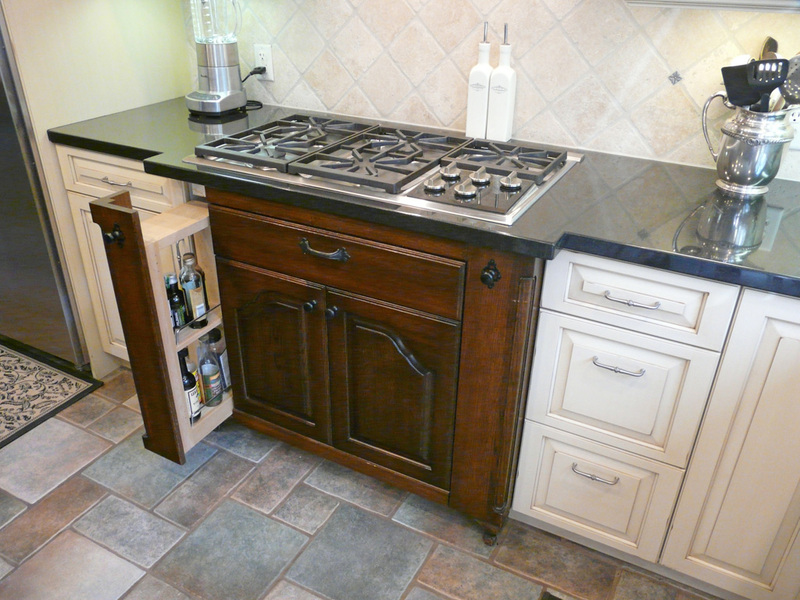 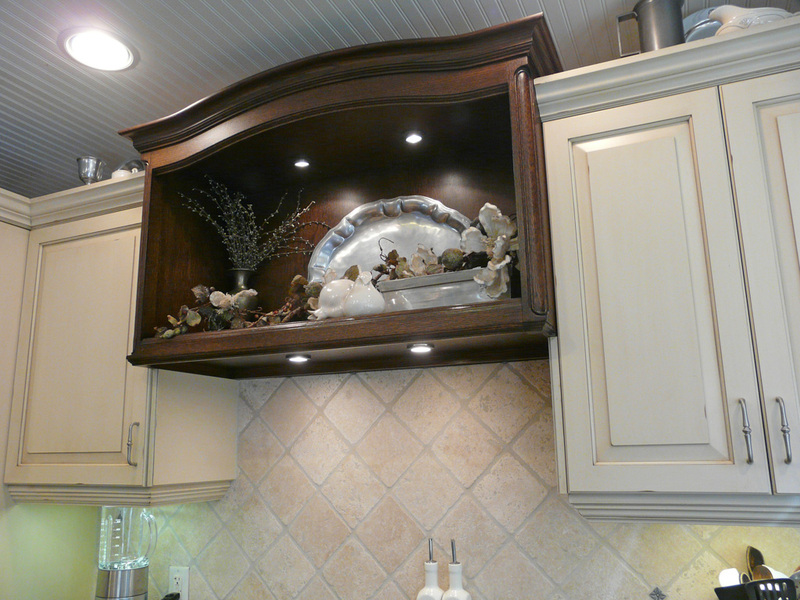 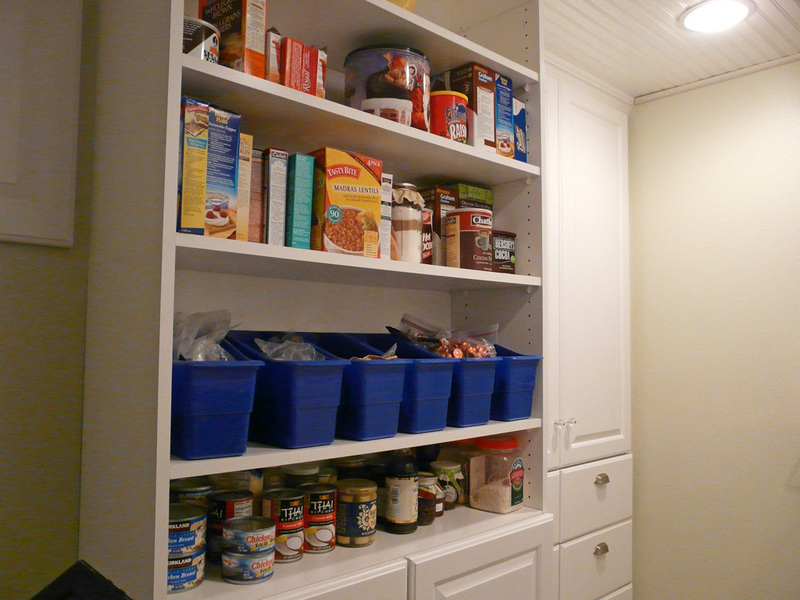 These cabinets and shelving were tailored to fit the clients specific storage needs. 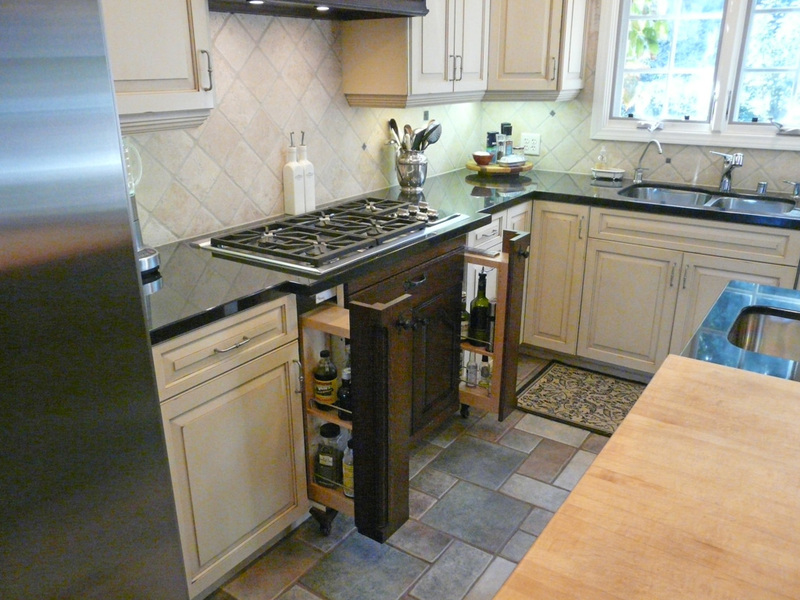 When this custom home was originally built a little over 20 years ago, Dan helped designed the kitchen and supplied the generic oak cabinets for this home. 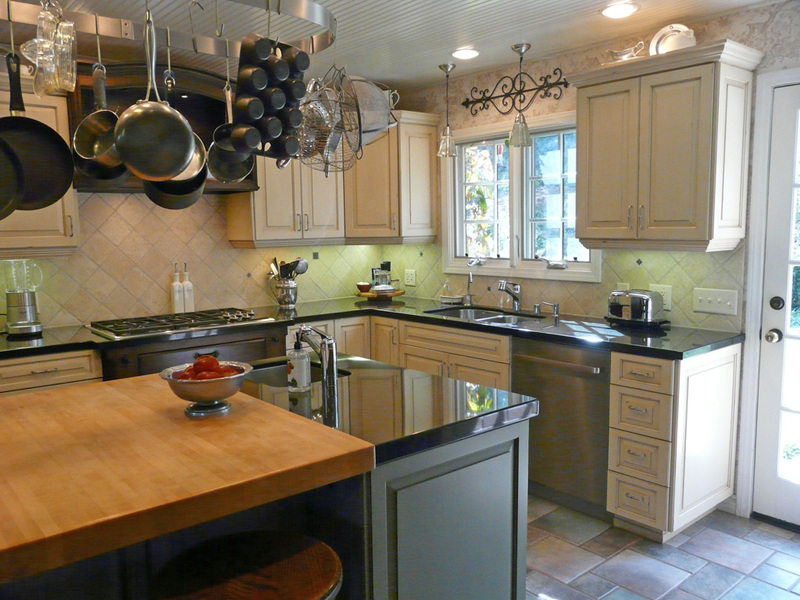 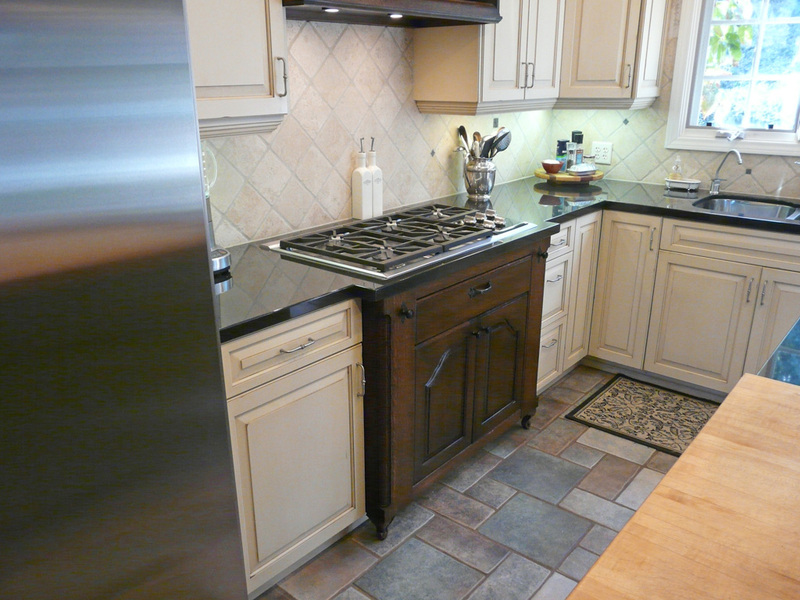 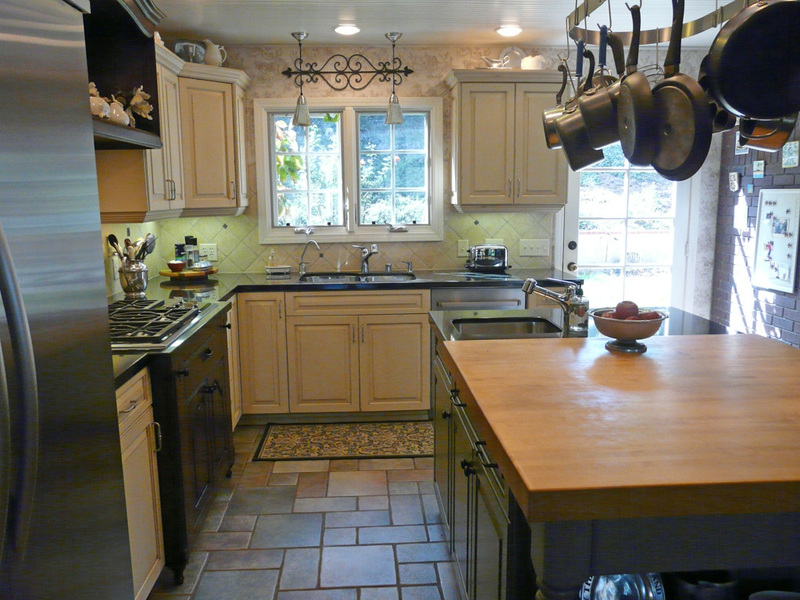 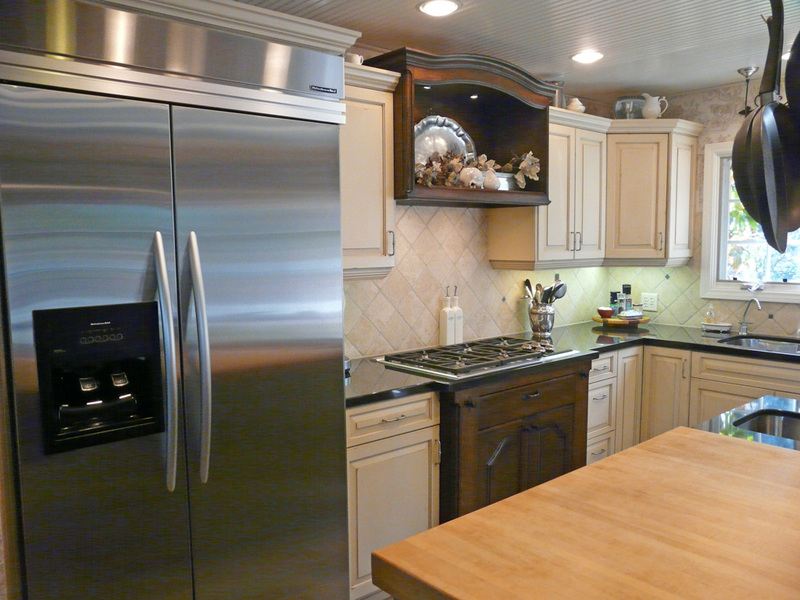 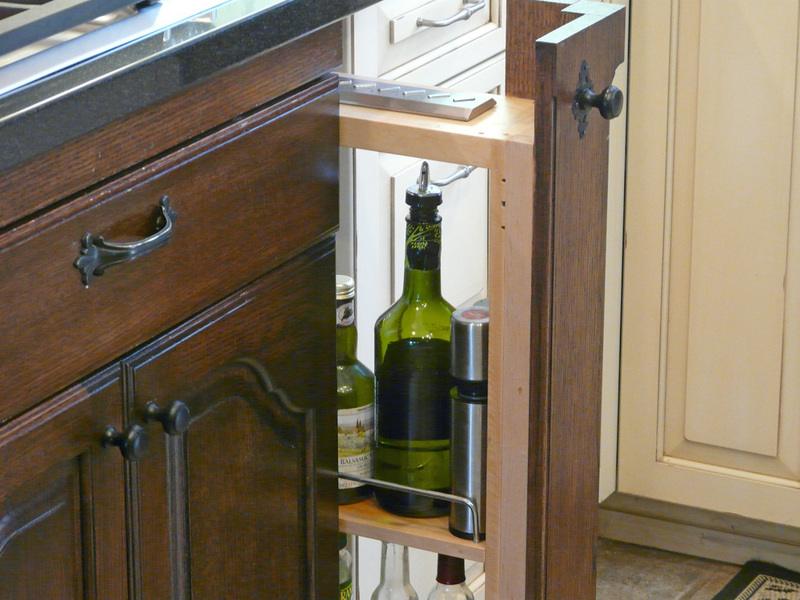 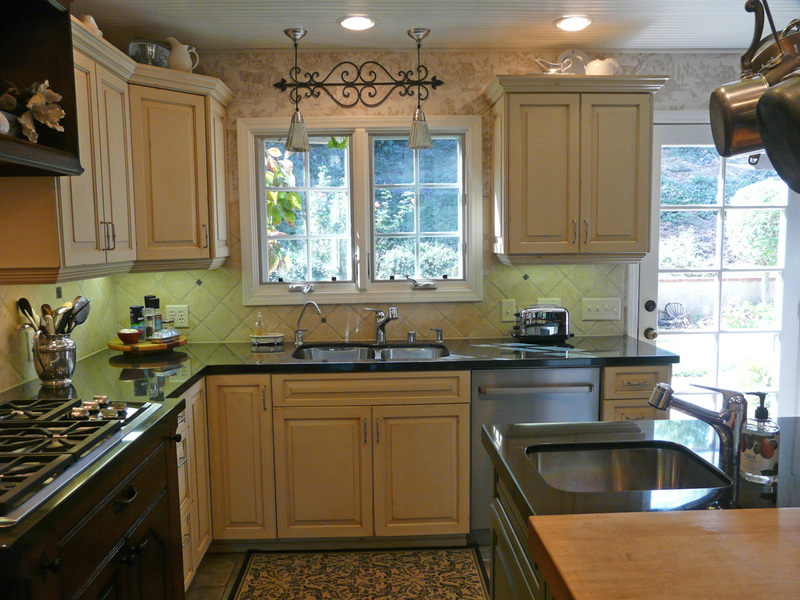 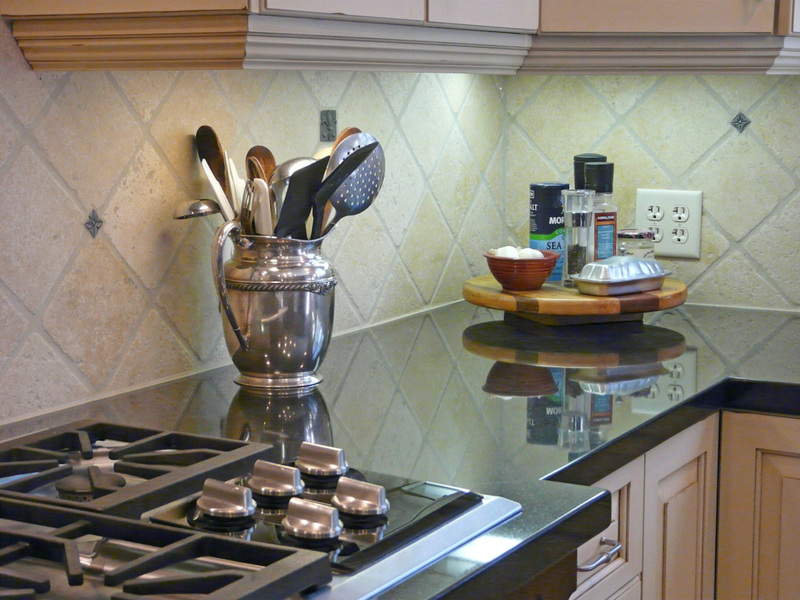 When the homeowner undertook a major addition and remodeling of the home in 2006, they called Dan to help with the kitchen remodel, pantry, wet bar, new bedroom, hall storage cabinets, and master bath remodel portions of the project. 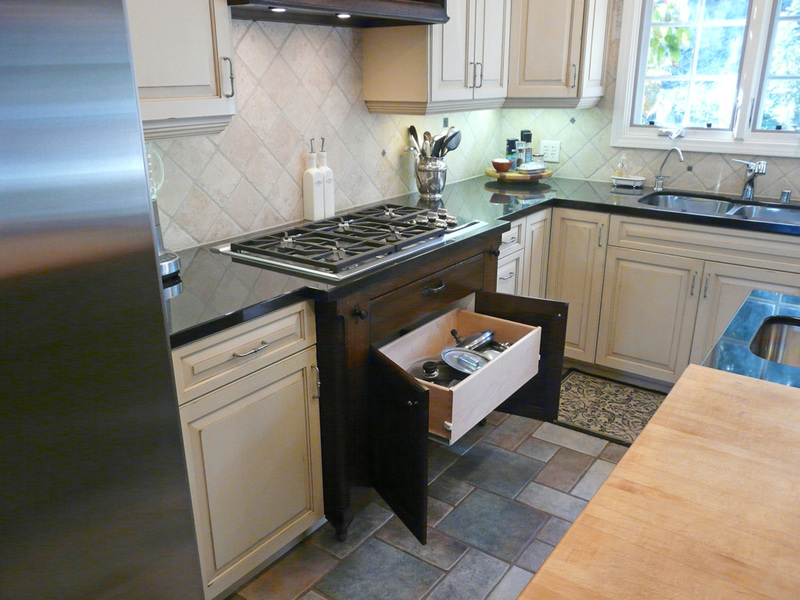 Jan Tucker, an accomplished interior designer, had very definite ideas as to materials she wanted to use and had very specific storage and work flow needs. 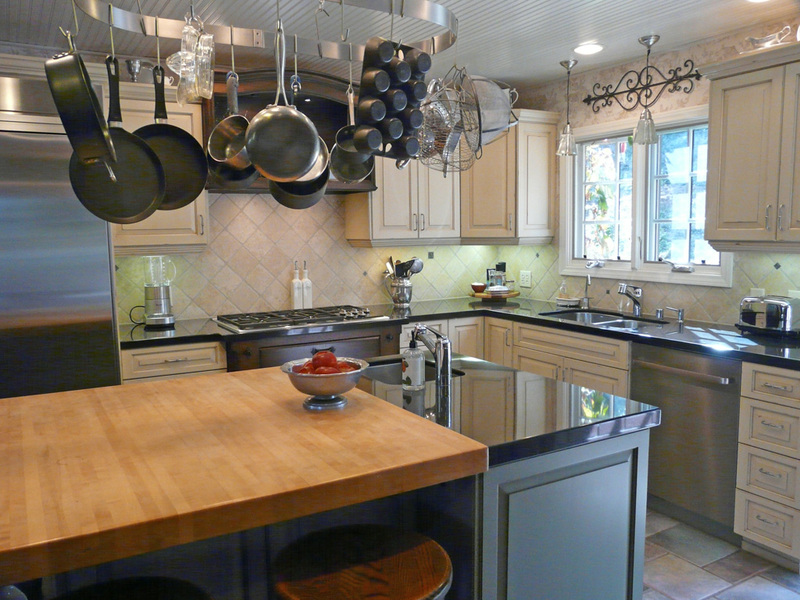 This clients needs and vision were captured successfully with Dan’s ability to listen and communicate then use his space planning, technical knowledge, and attention to detail. 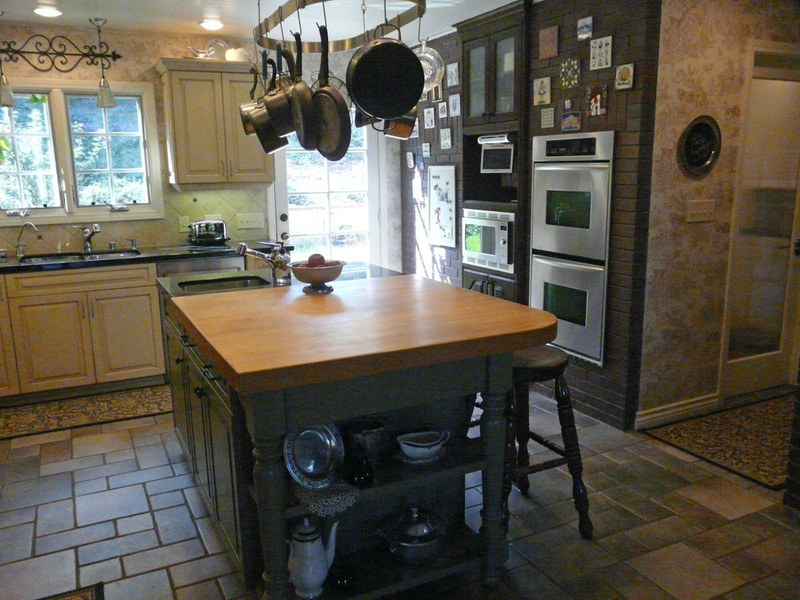 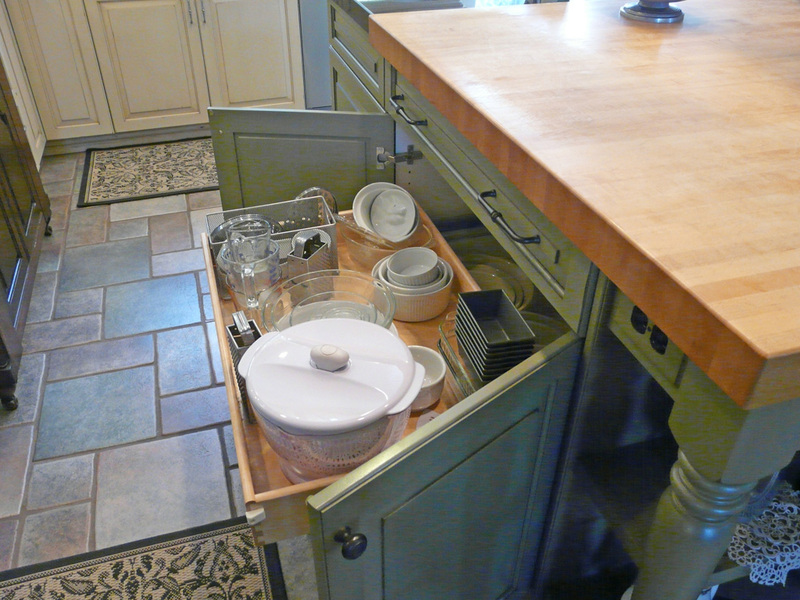 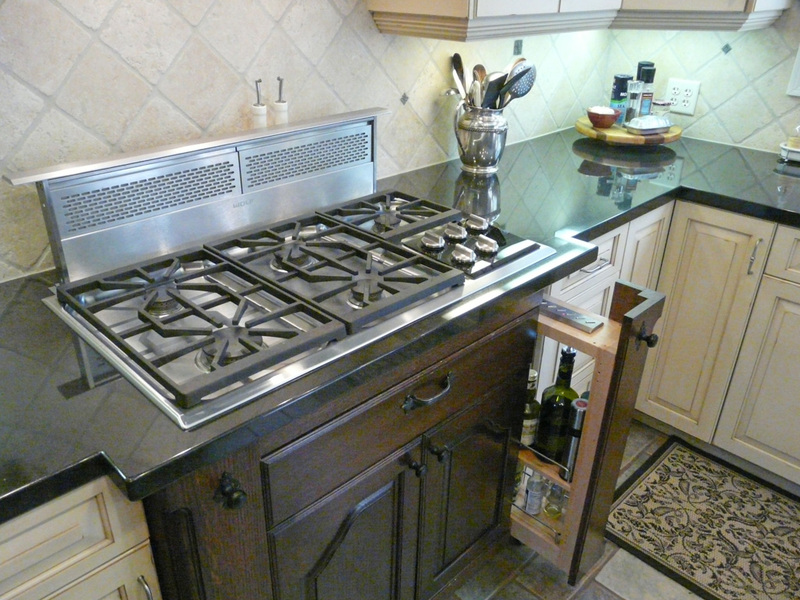 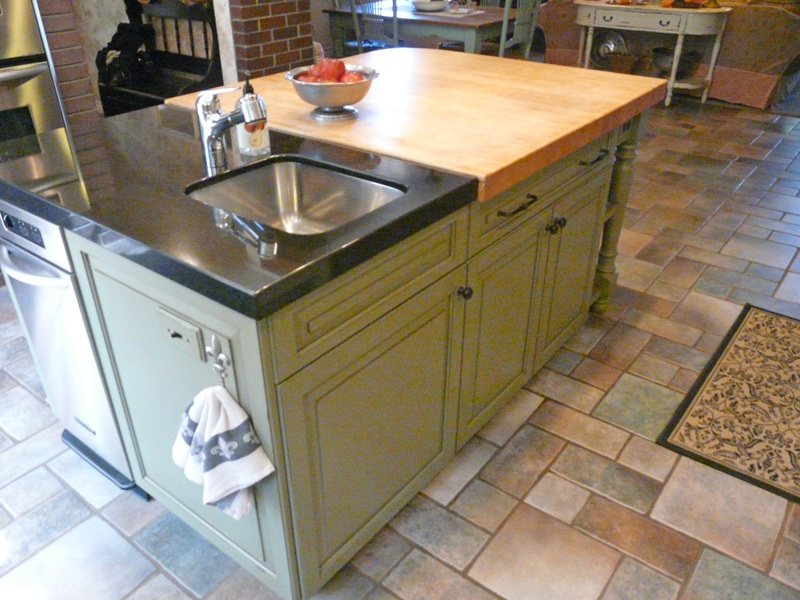 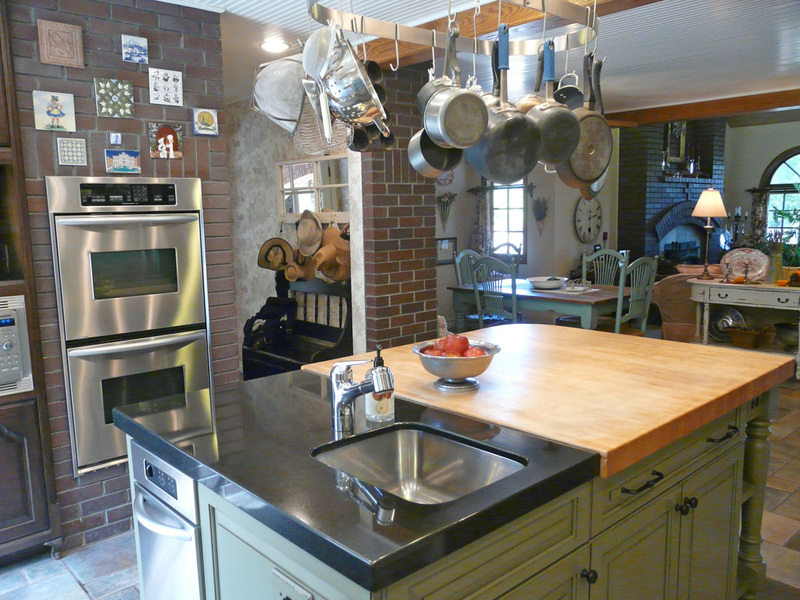 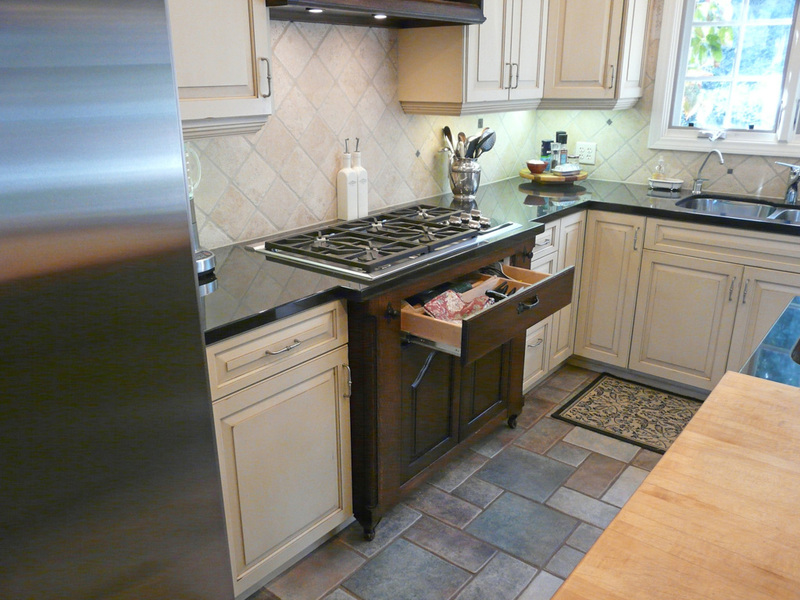 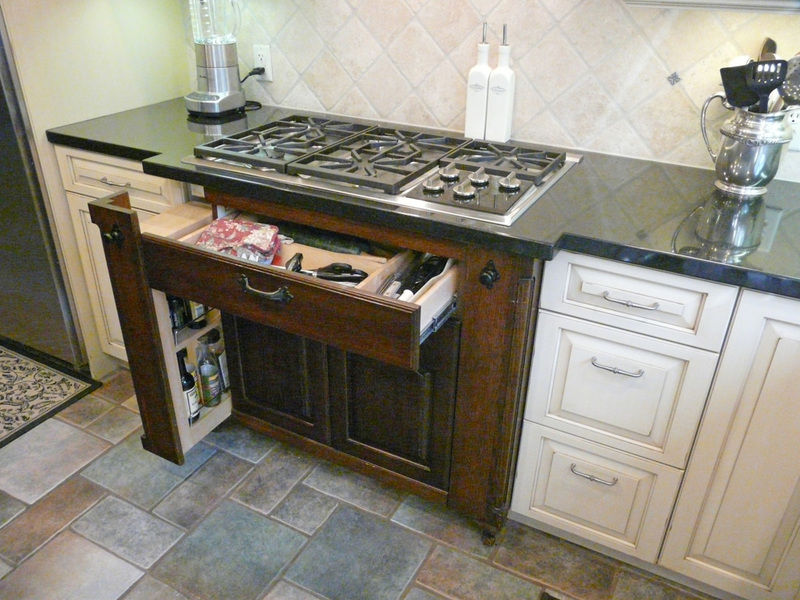 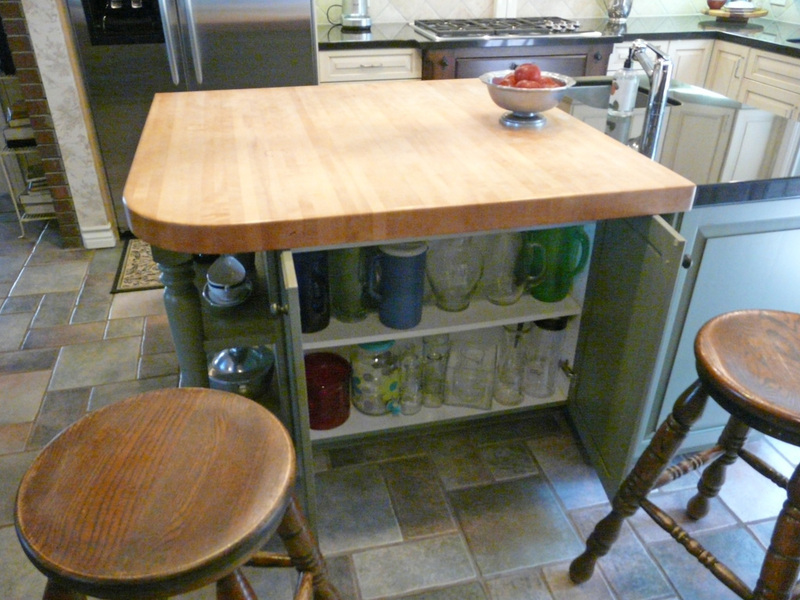 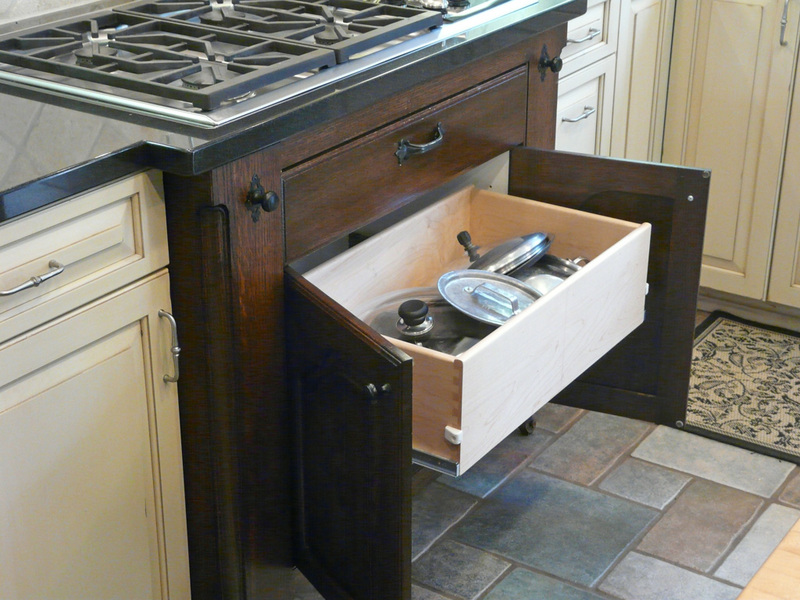 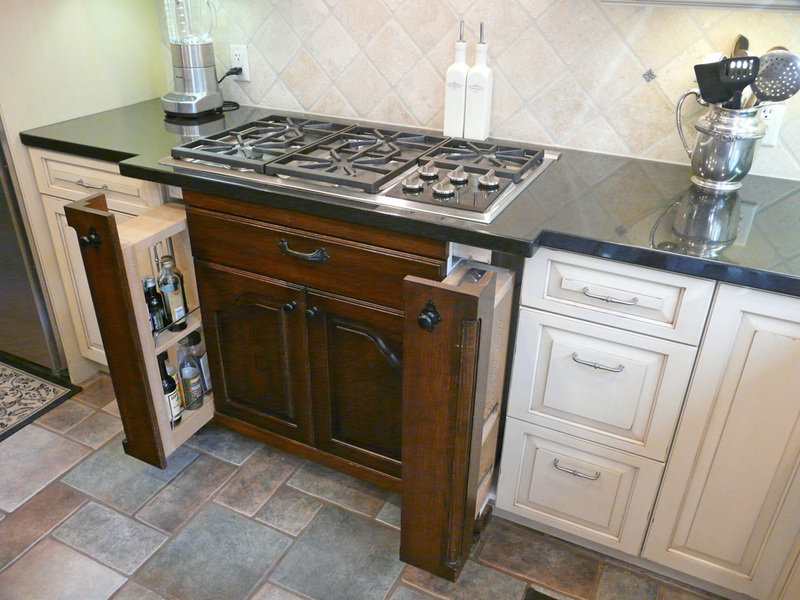 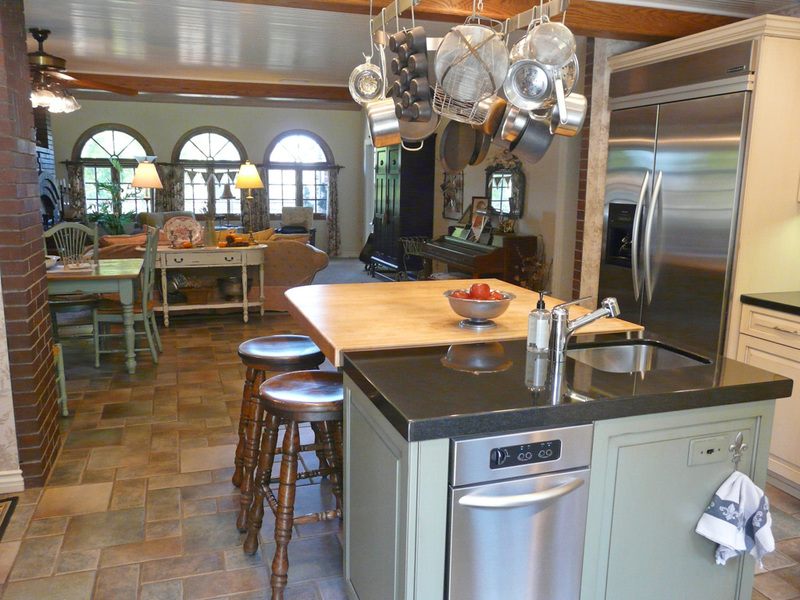 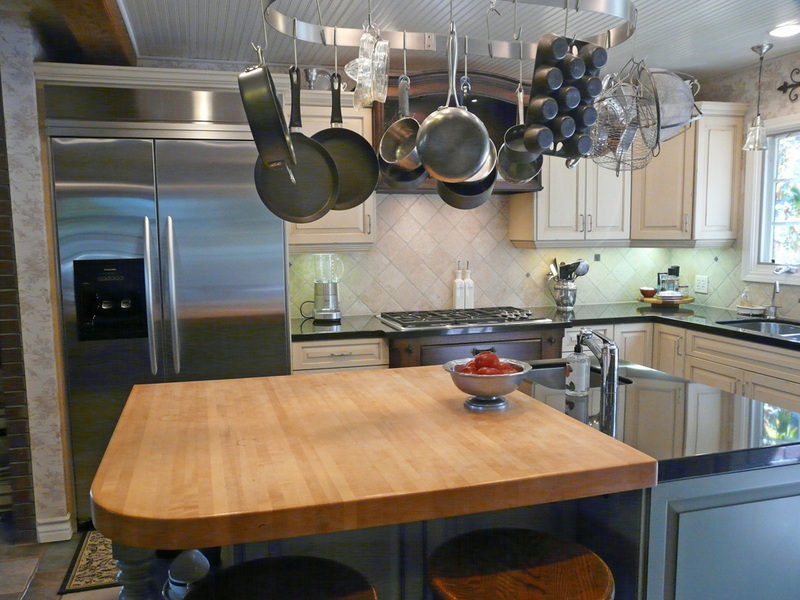 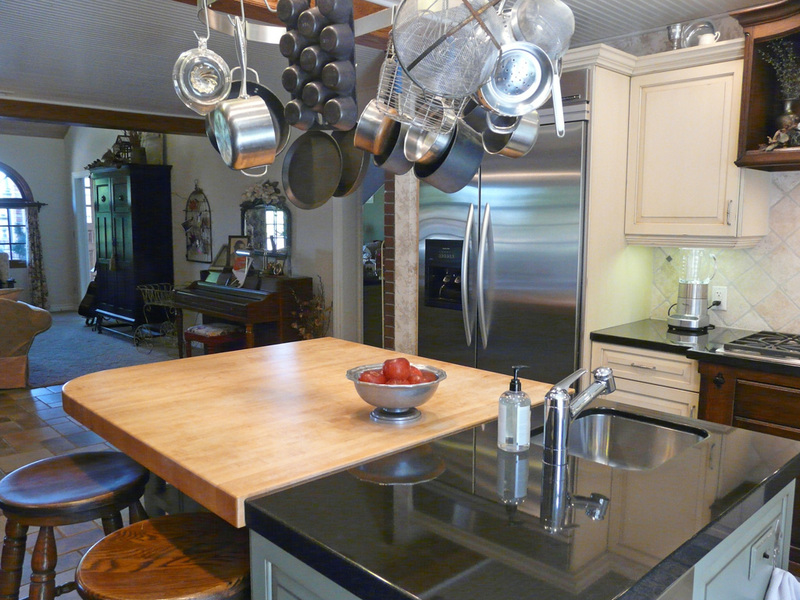 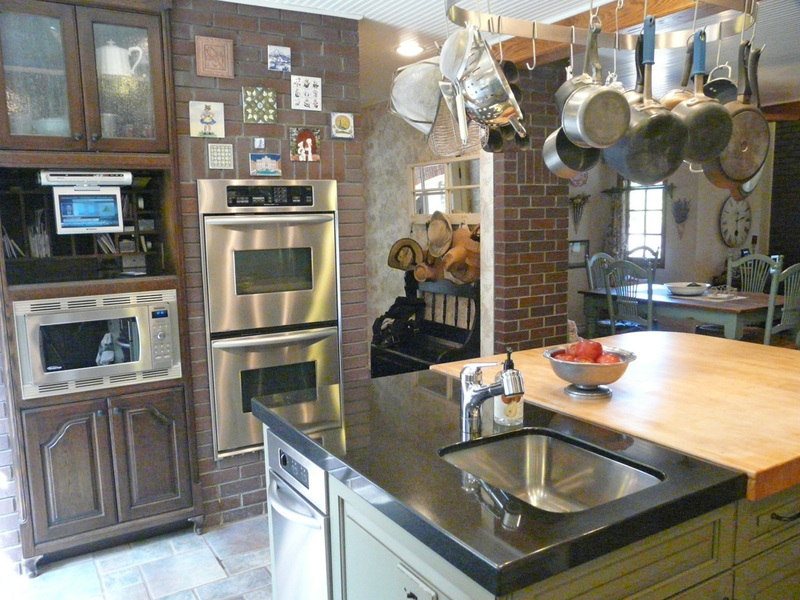 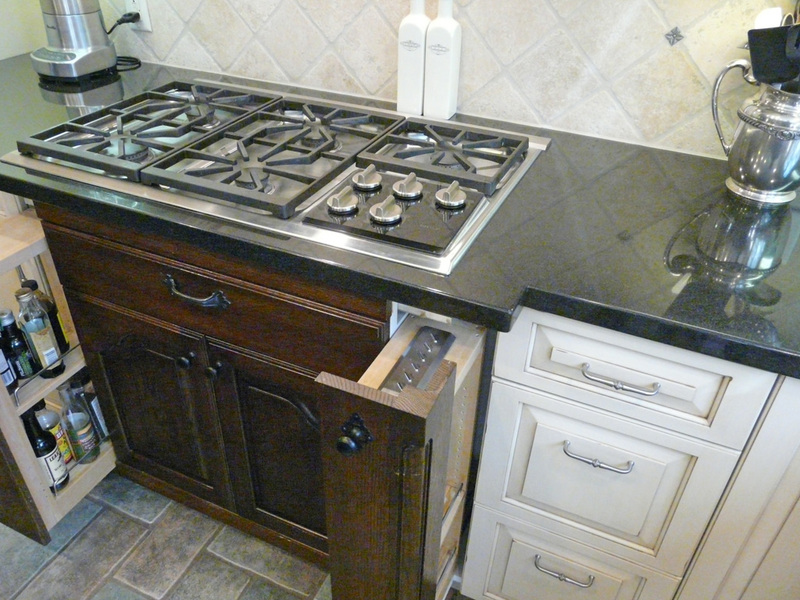 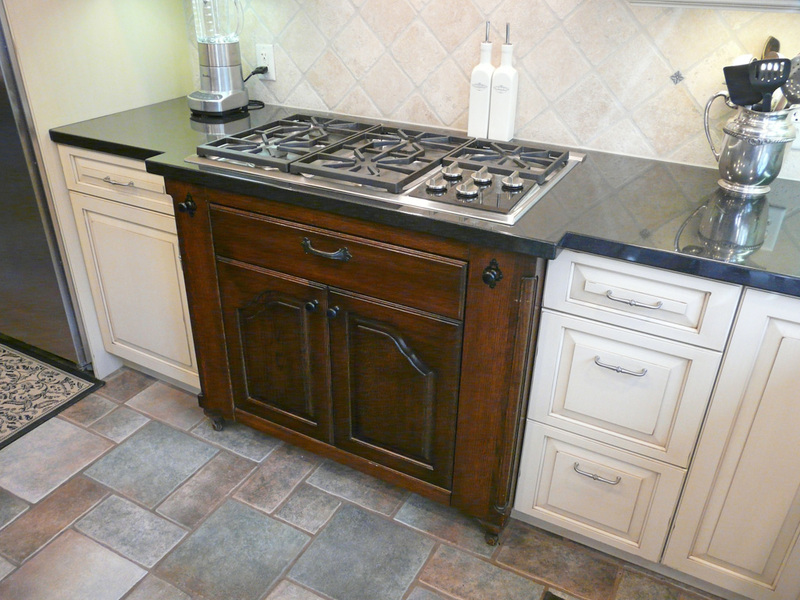 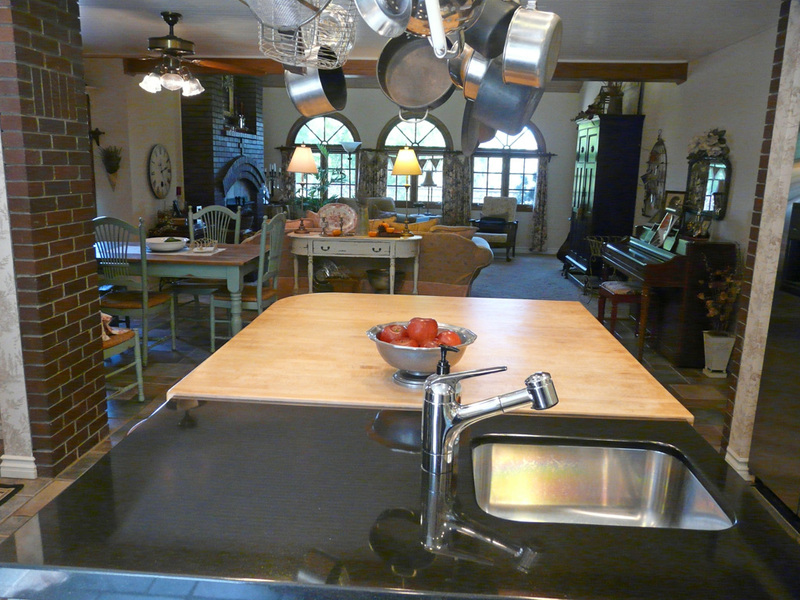 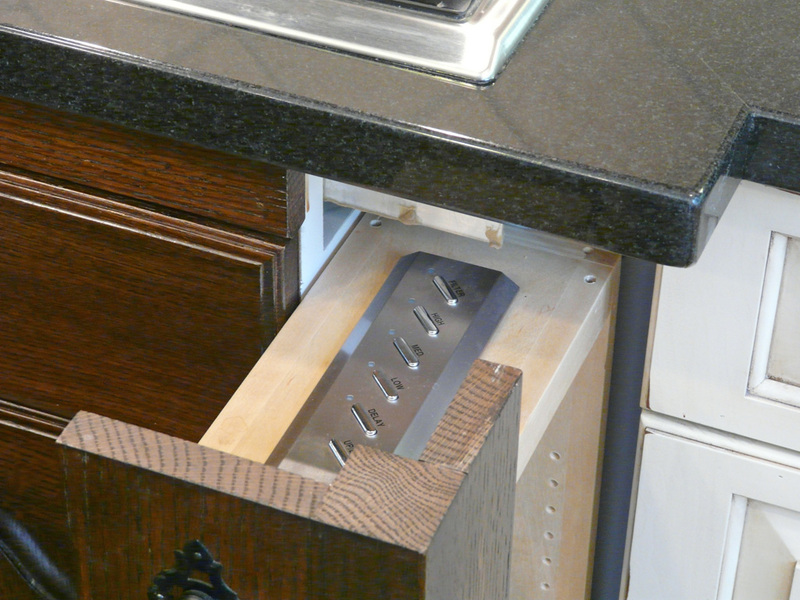 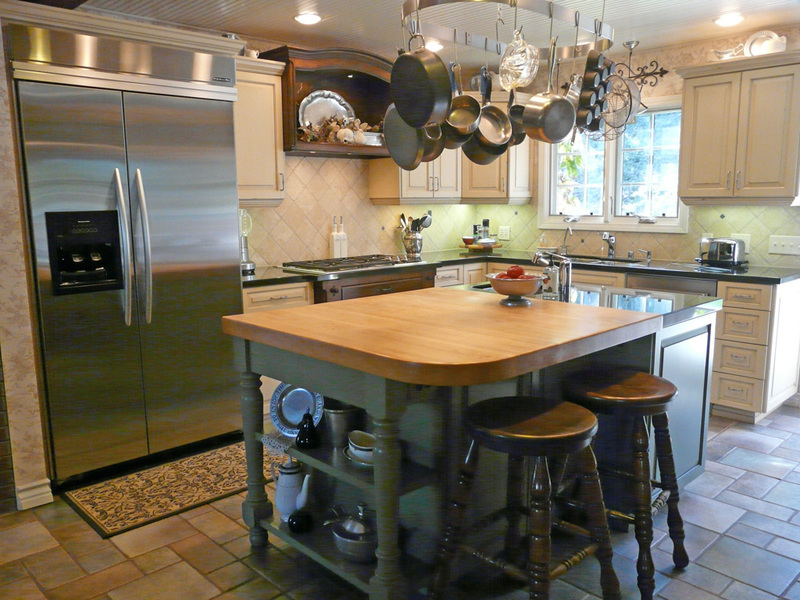 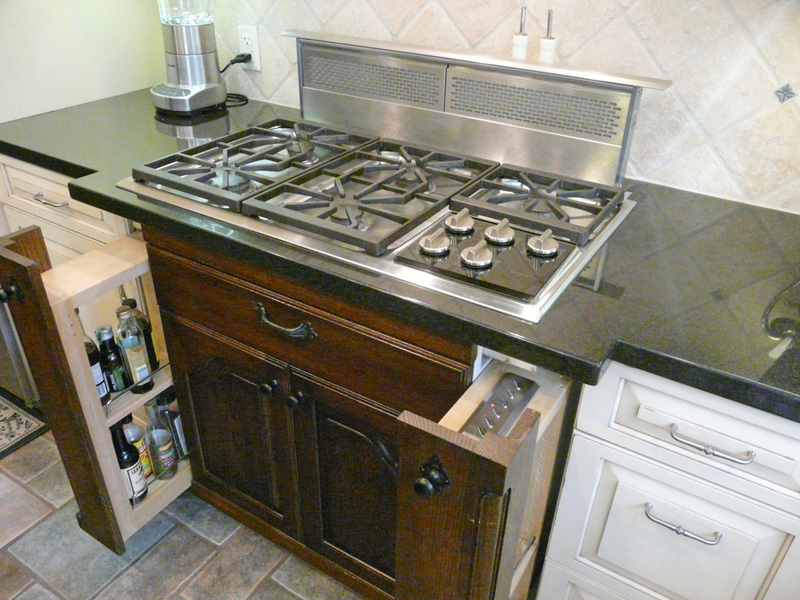 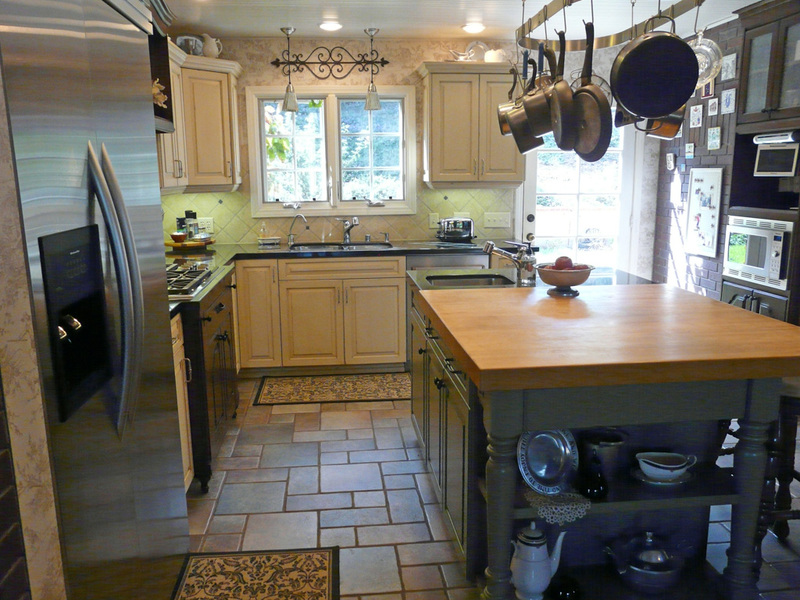 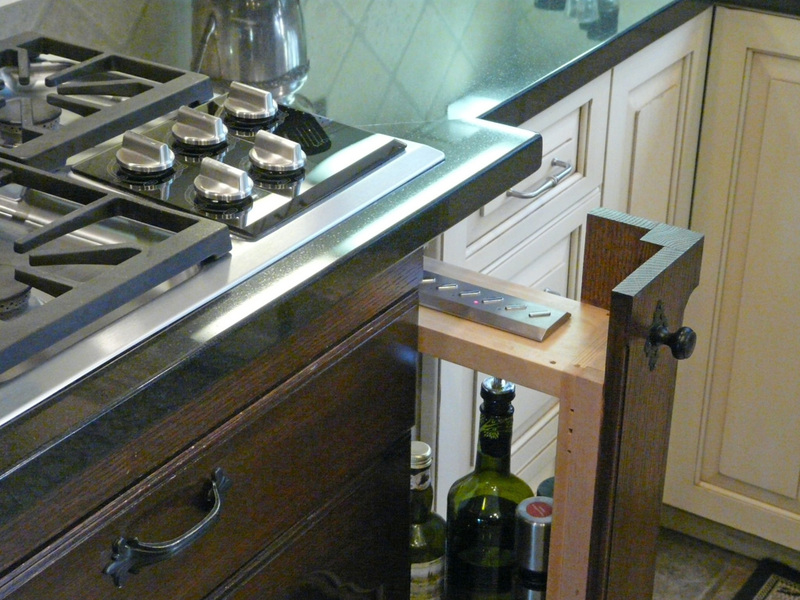 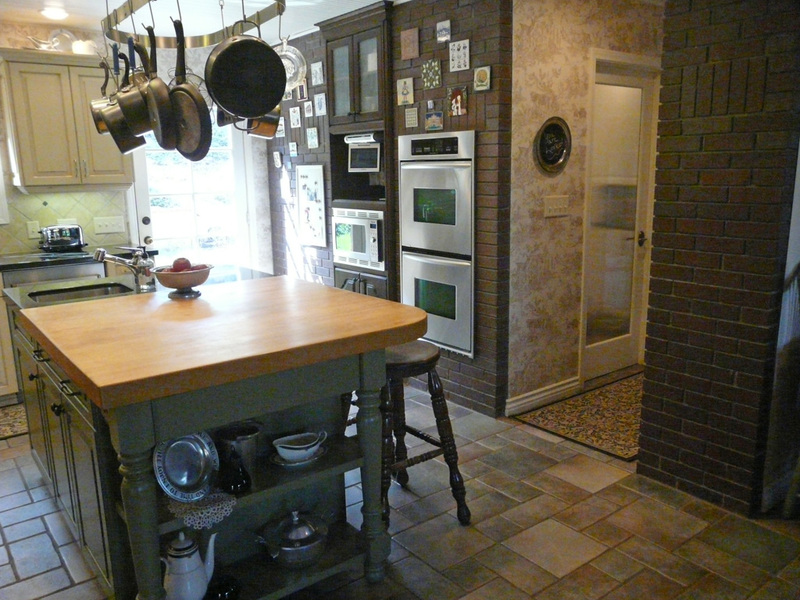 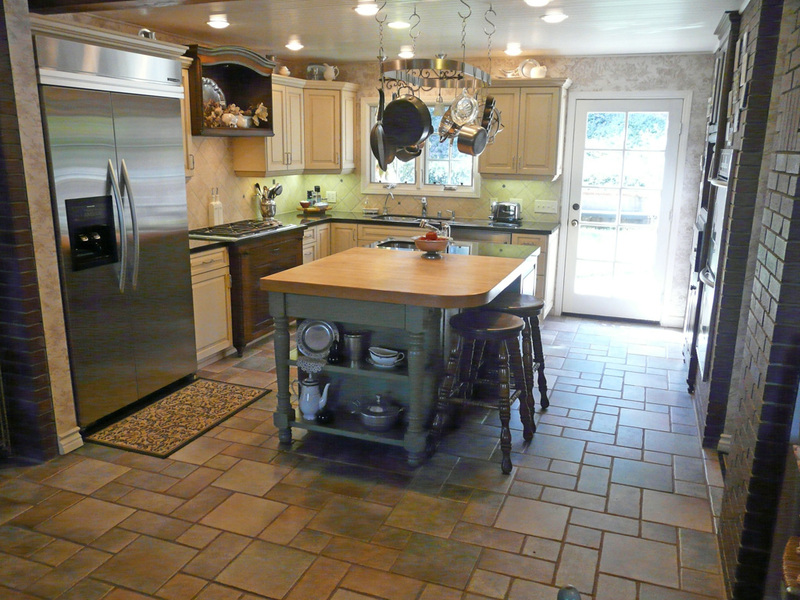 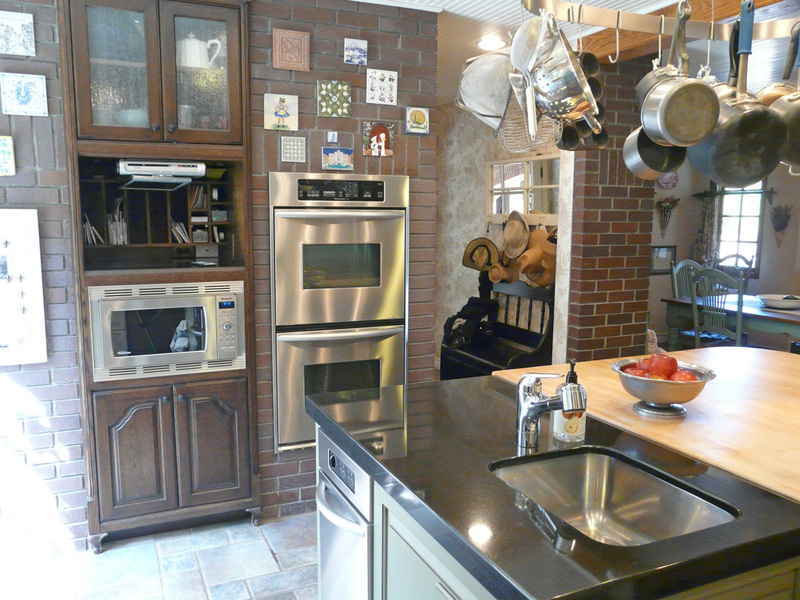 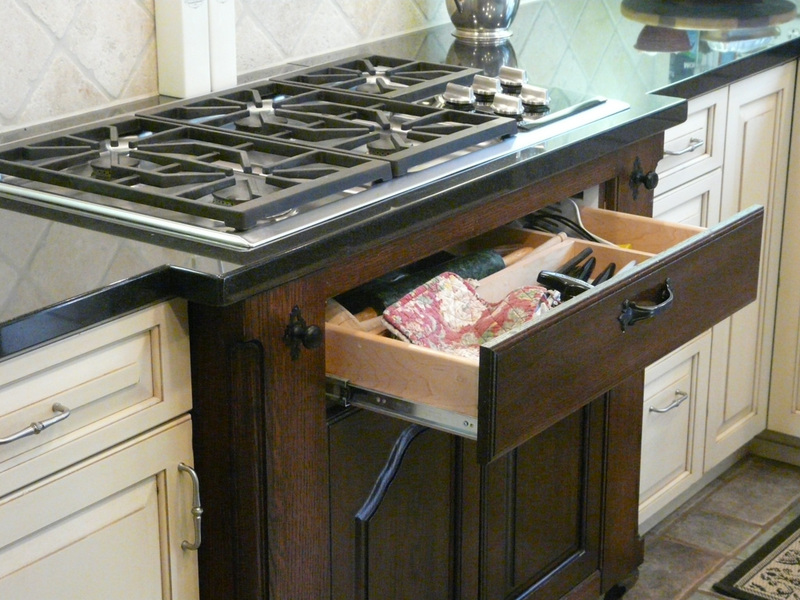 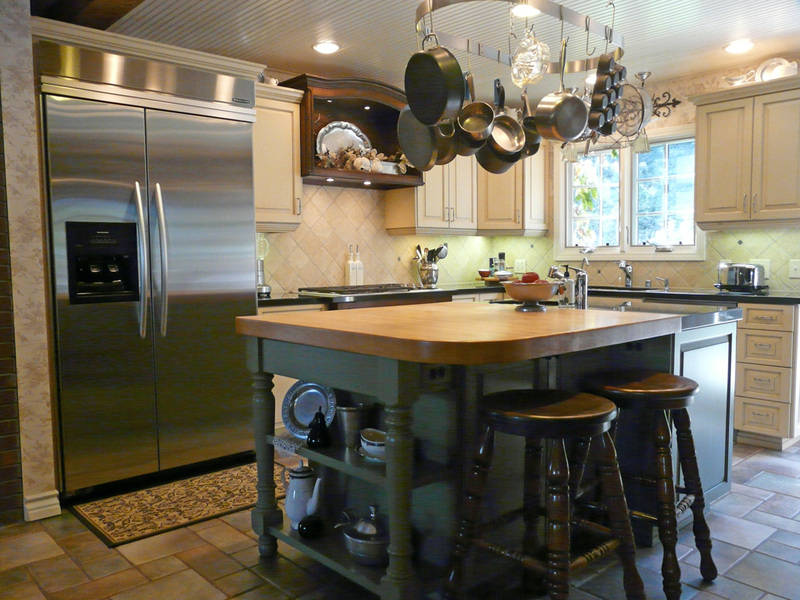 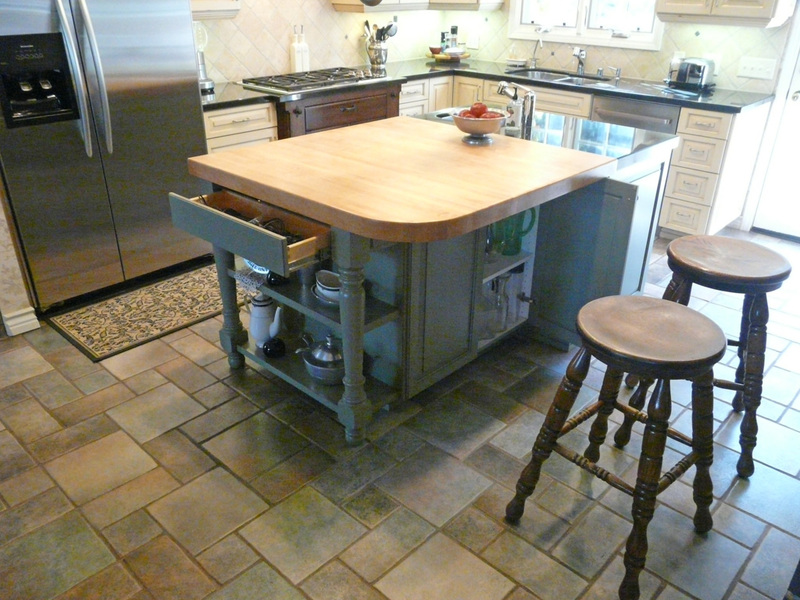 The original kitchen layout and work flow was preserved for the most part, which in itself is a testament to the functional strength of Dan’s original design. 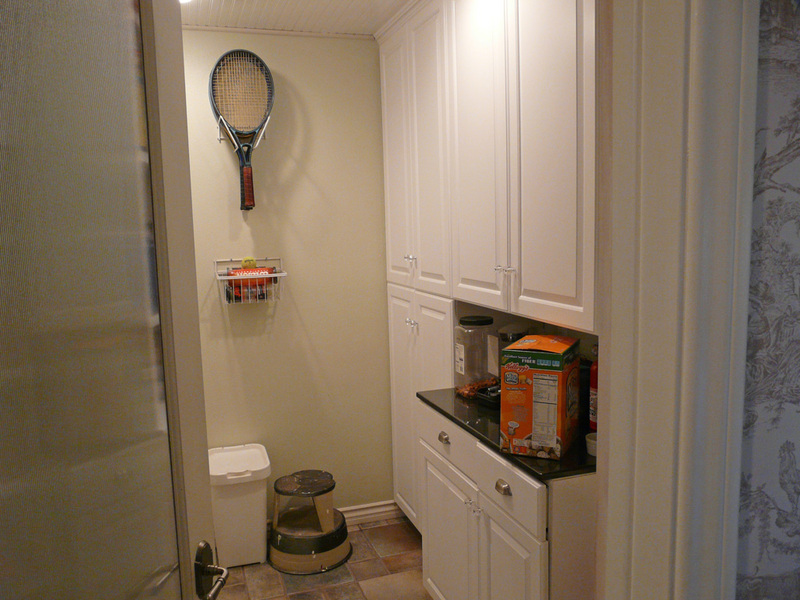 Added were numerous storage customizations and enhancements as well as major decorative and material changes, that all captured both the functional needs and aesthetics envisioned by the homeowners. 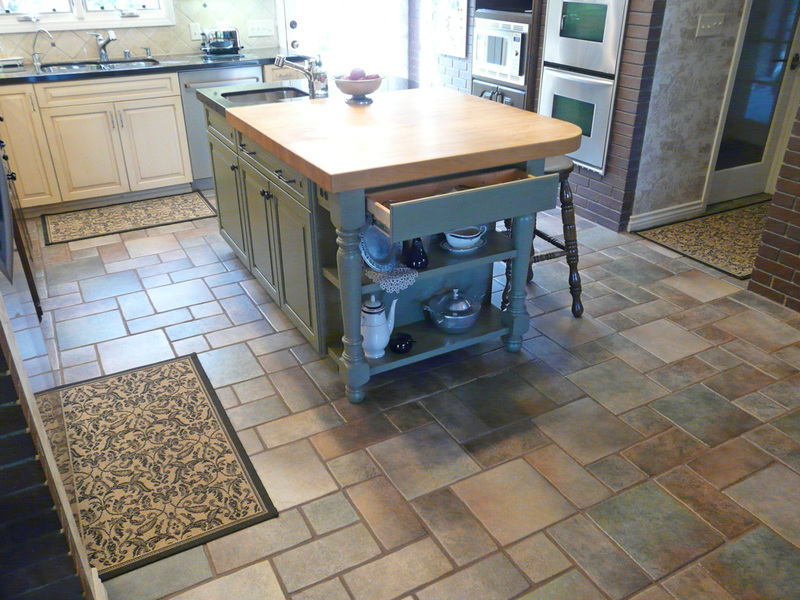 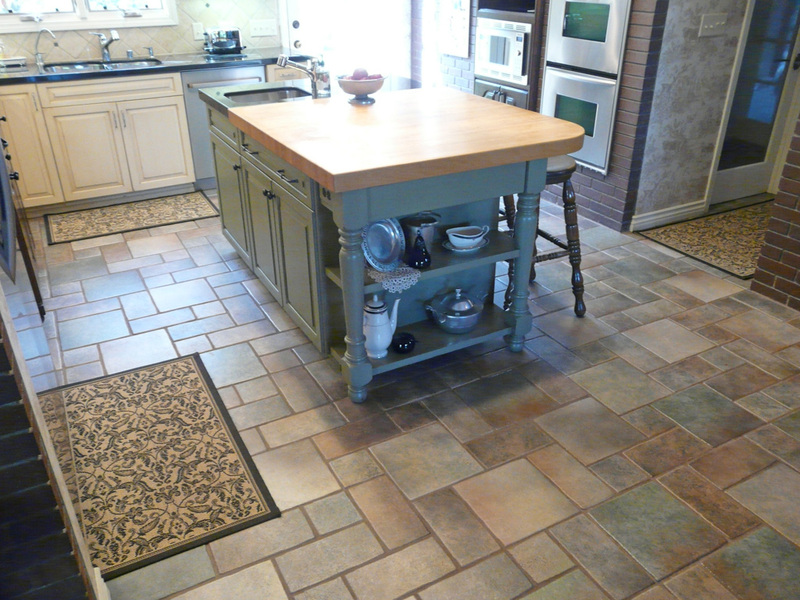 The original tile floor was saved and patched in a few spots. 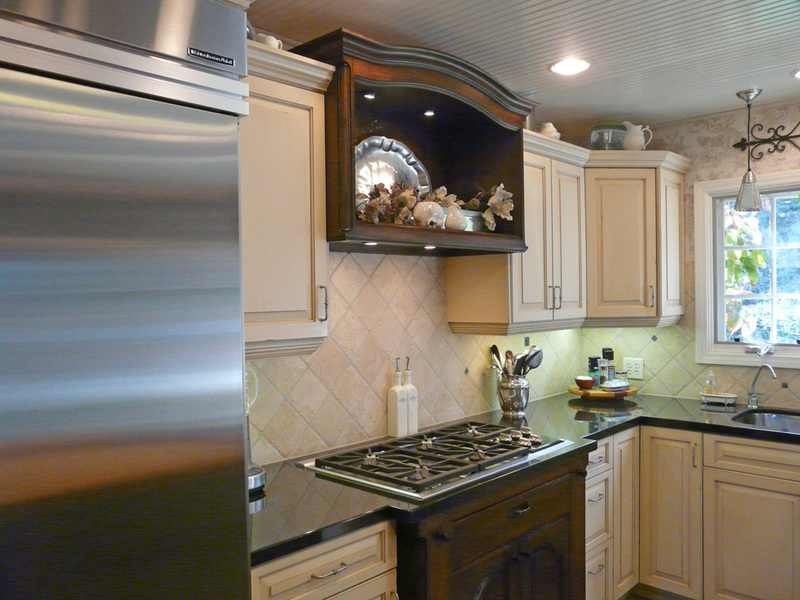 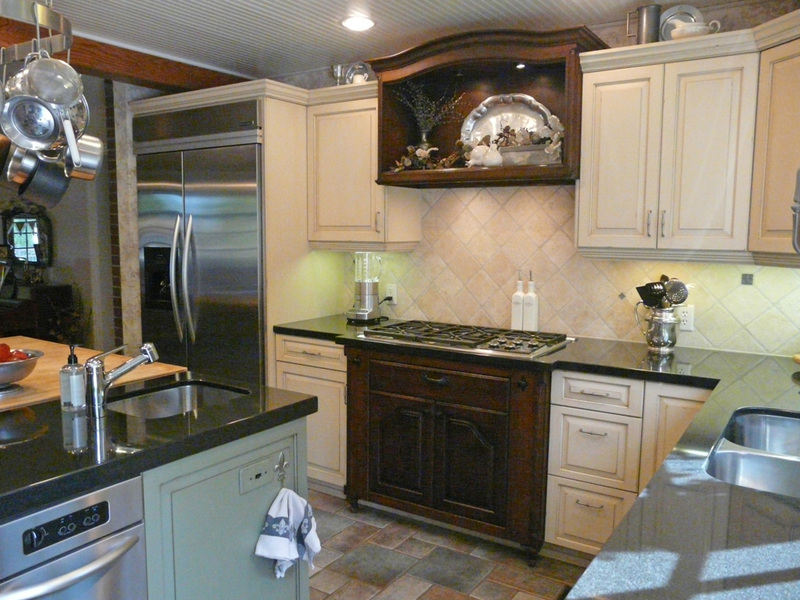 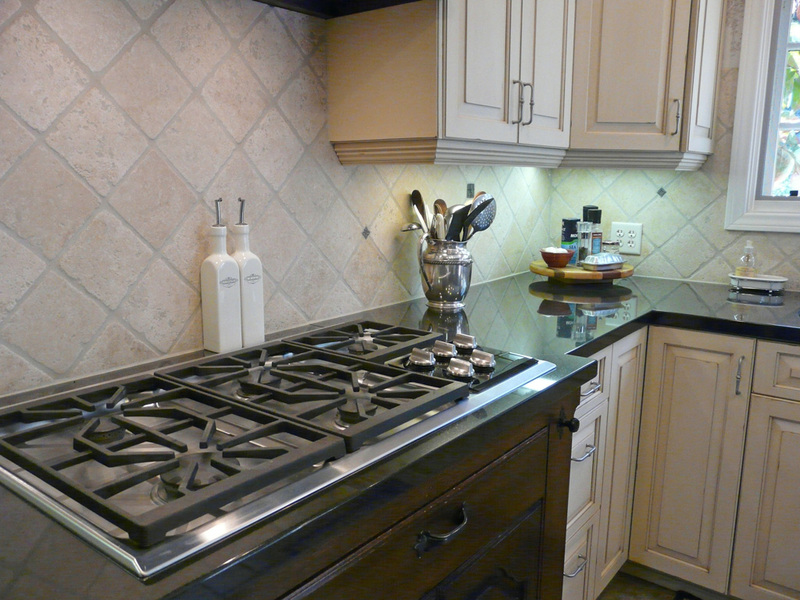 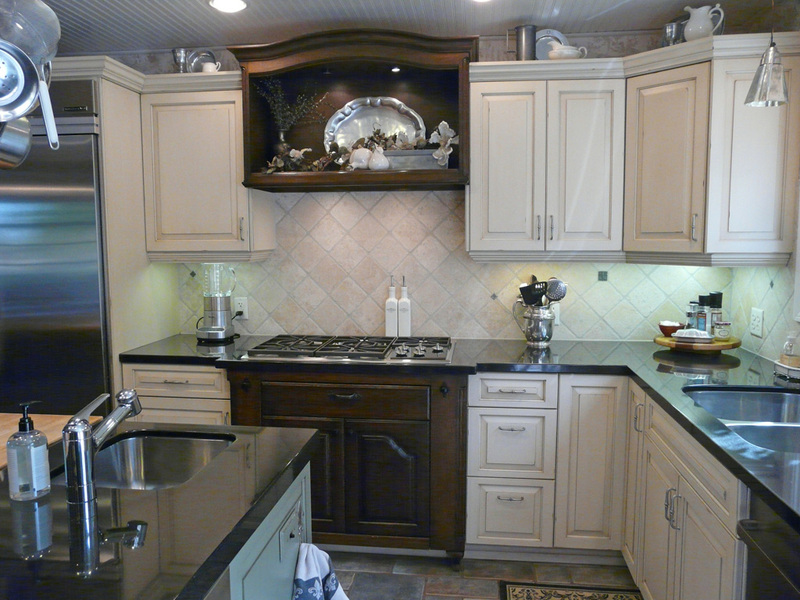 Three distinct colors of cabinets were used to give the small room more visual interest and warms. 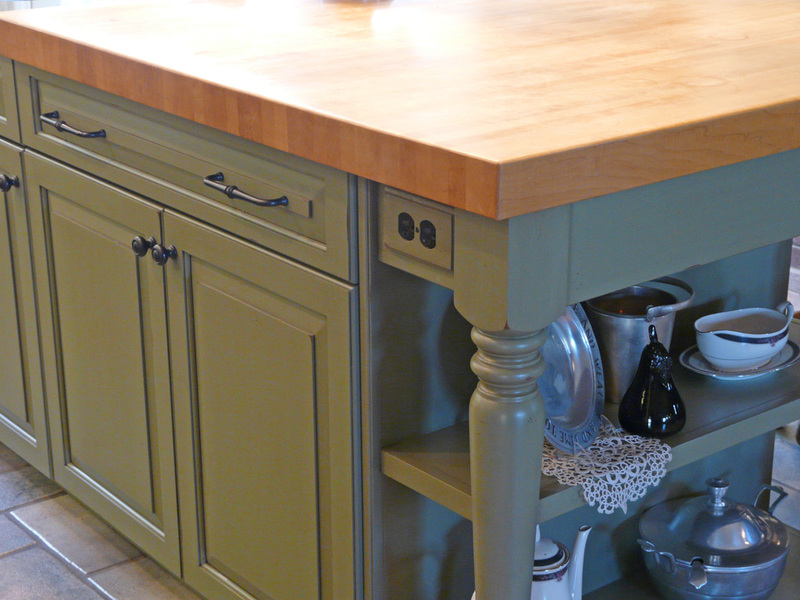 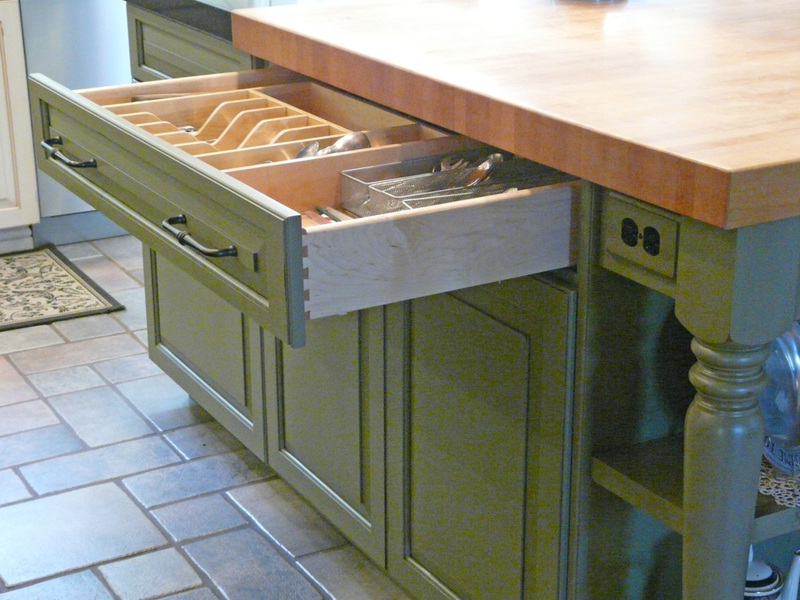 The off white painted, distressed and glazed L-shaped section of cabinets stand our from the dark quarter sawn oak cook top section, and green painted and distressed distressed island cabinets with are a pretty good match to the adjoining eating table color and style. 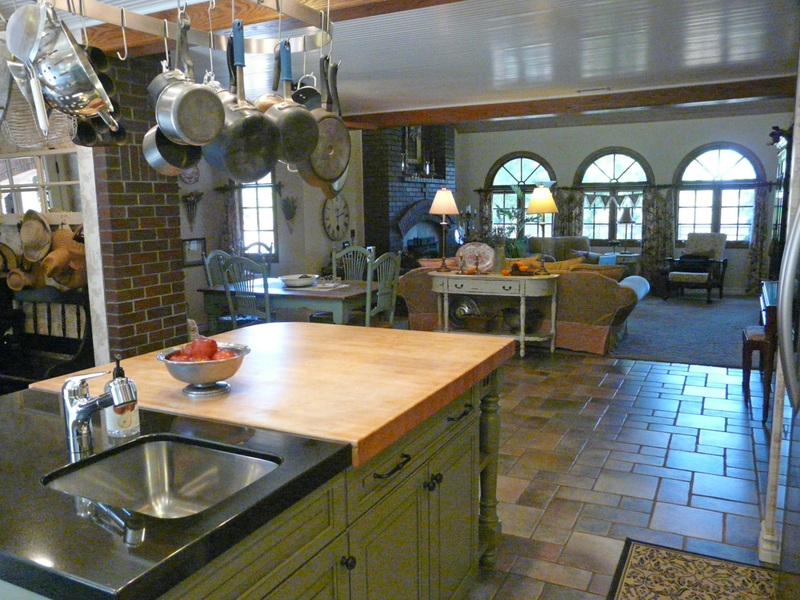 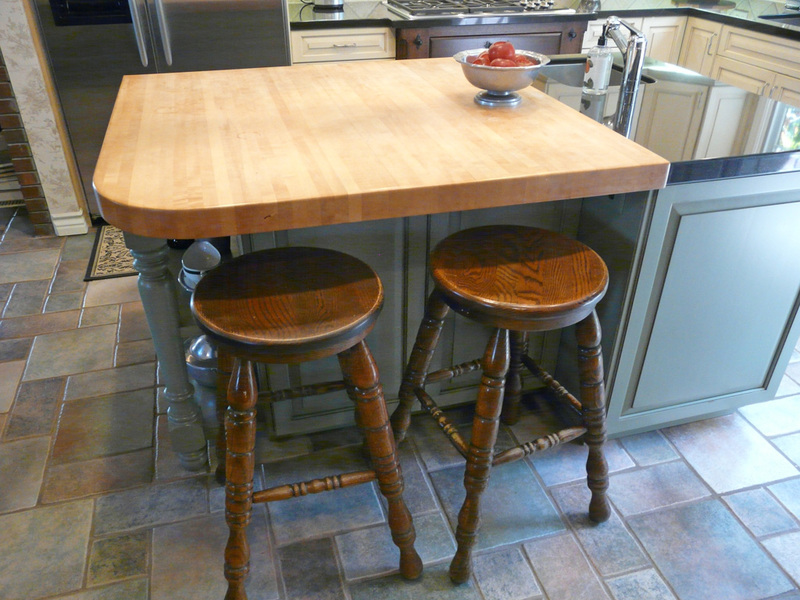 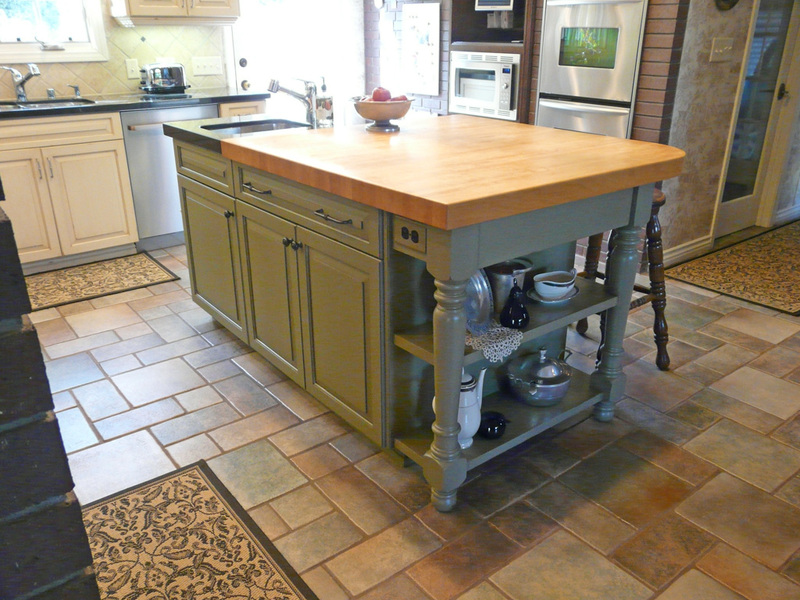 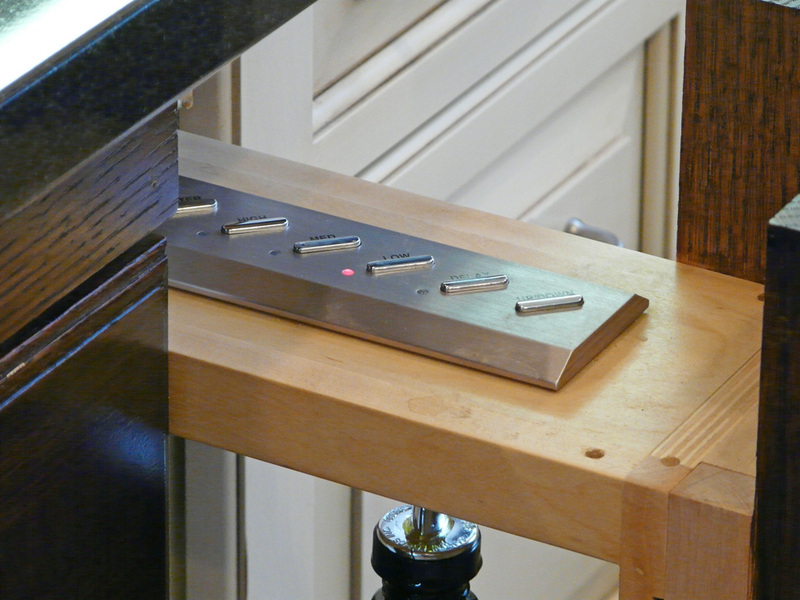 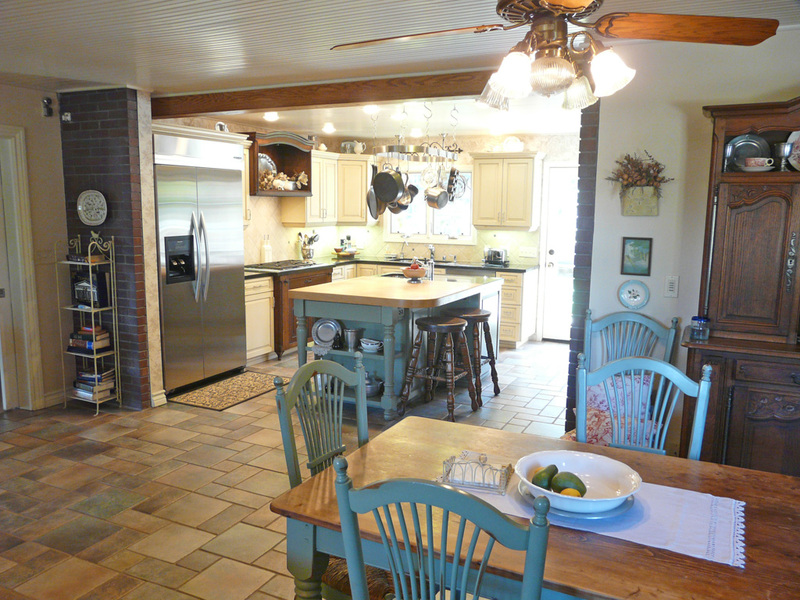 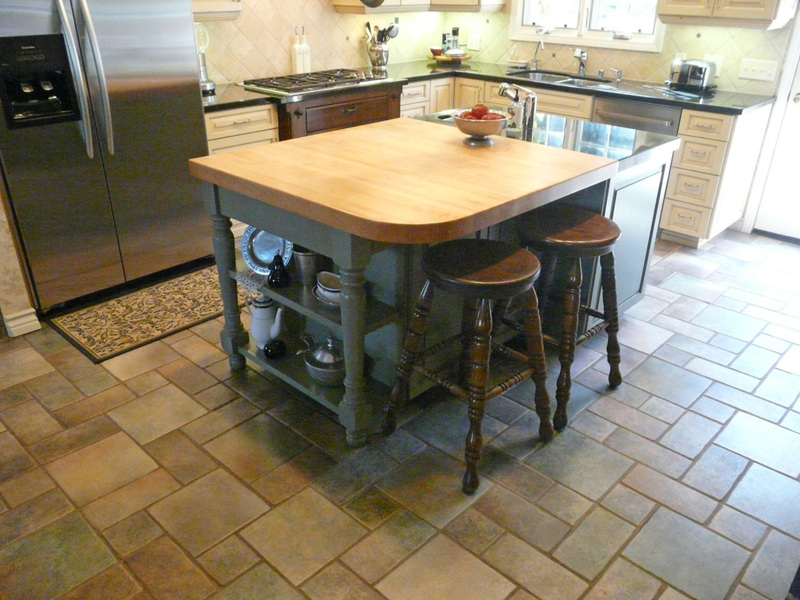 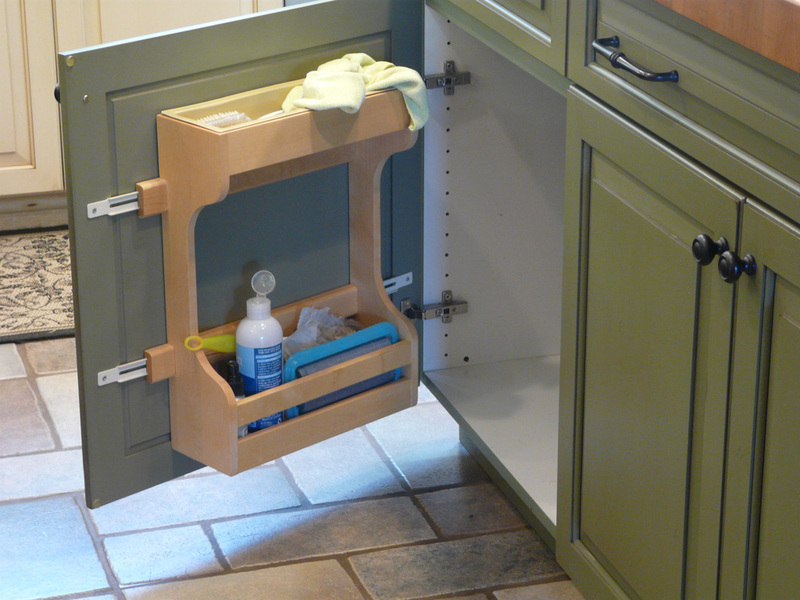 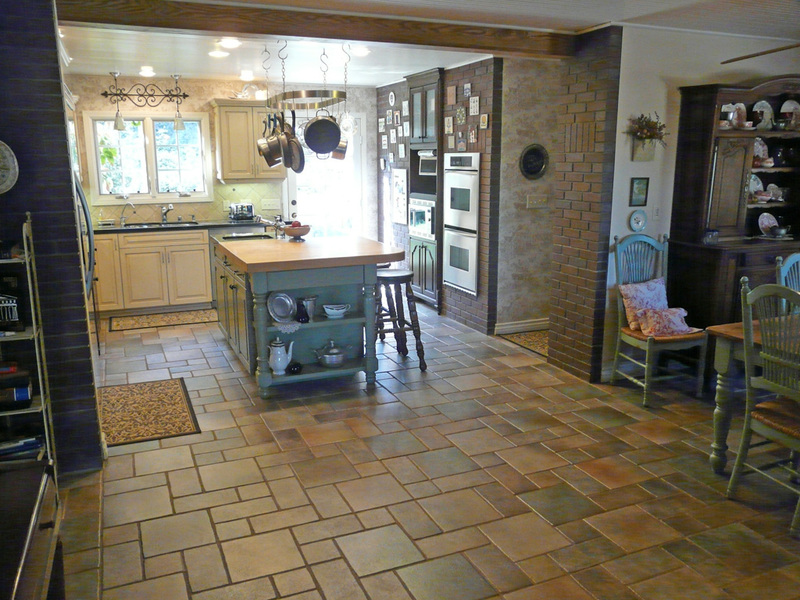 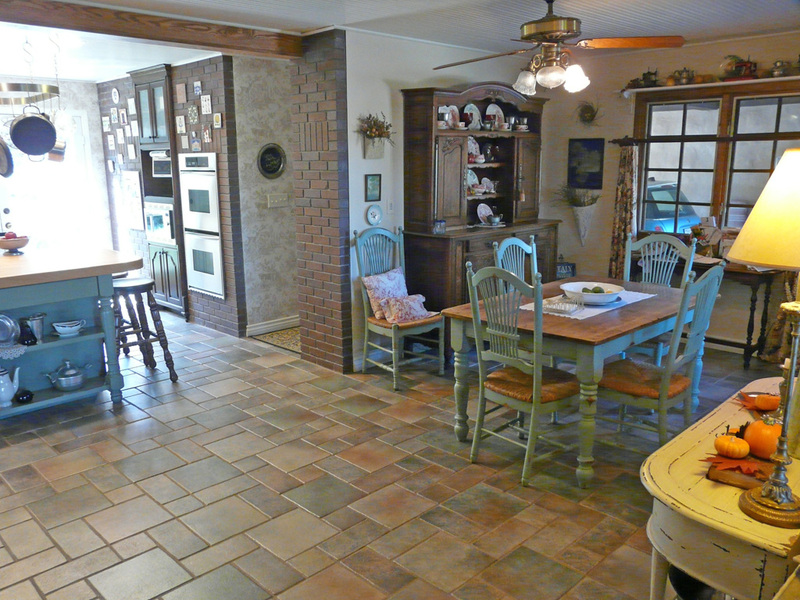 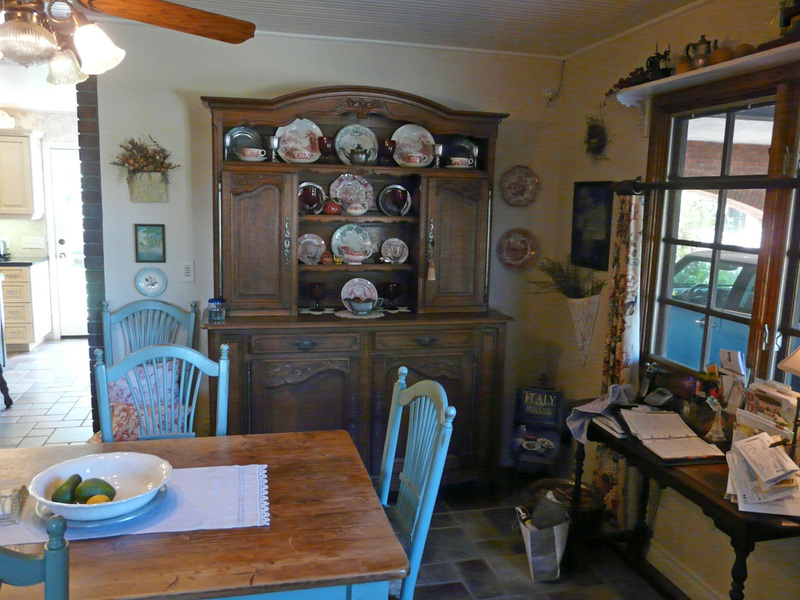 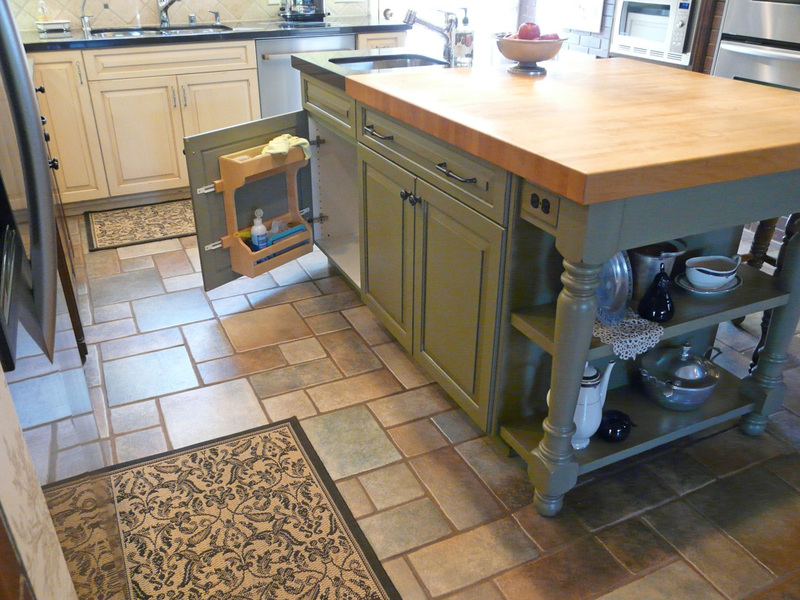 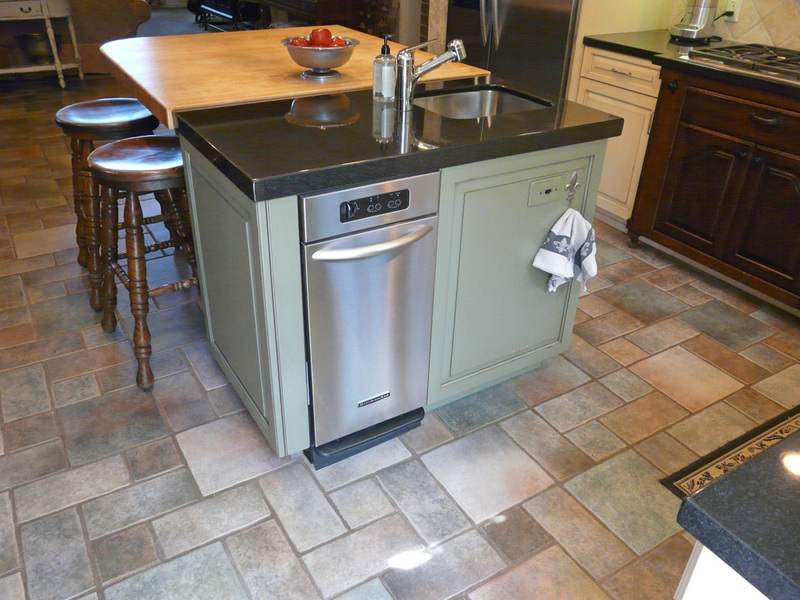 All combined creating a very functional, and visually engaging country kitchen. 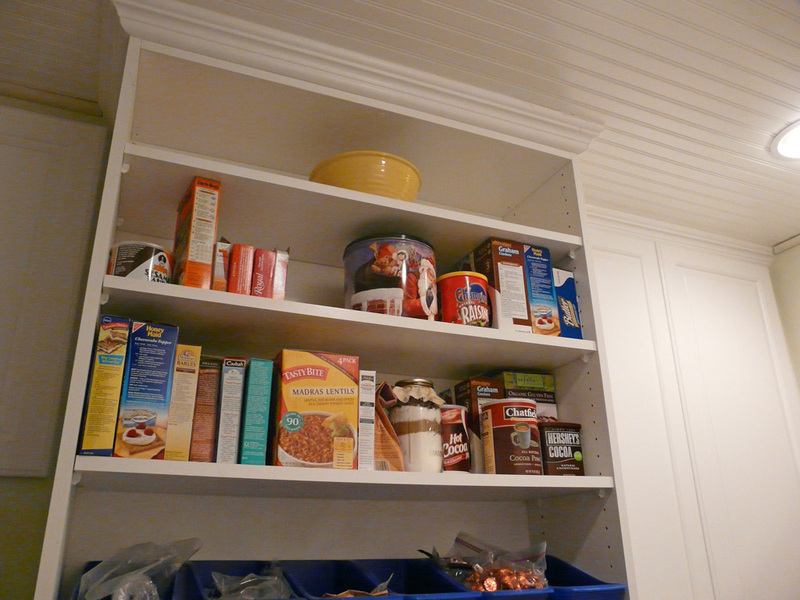 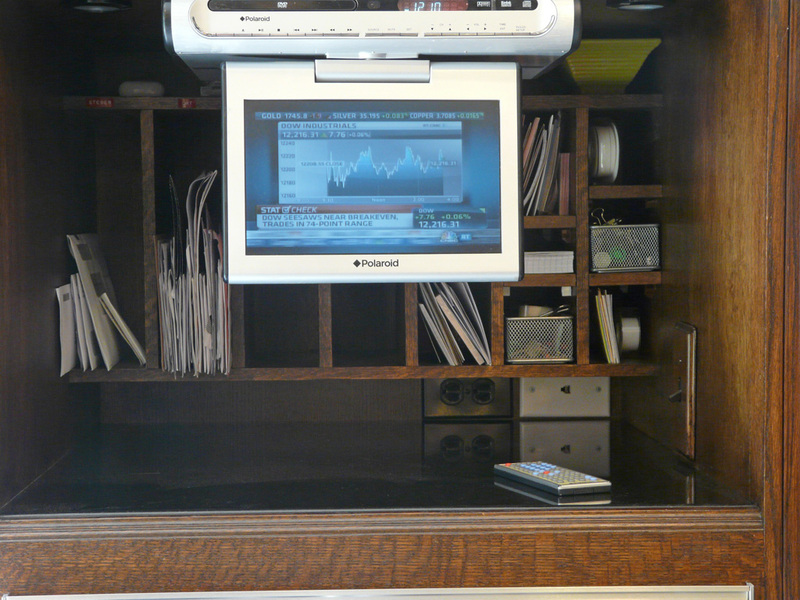 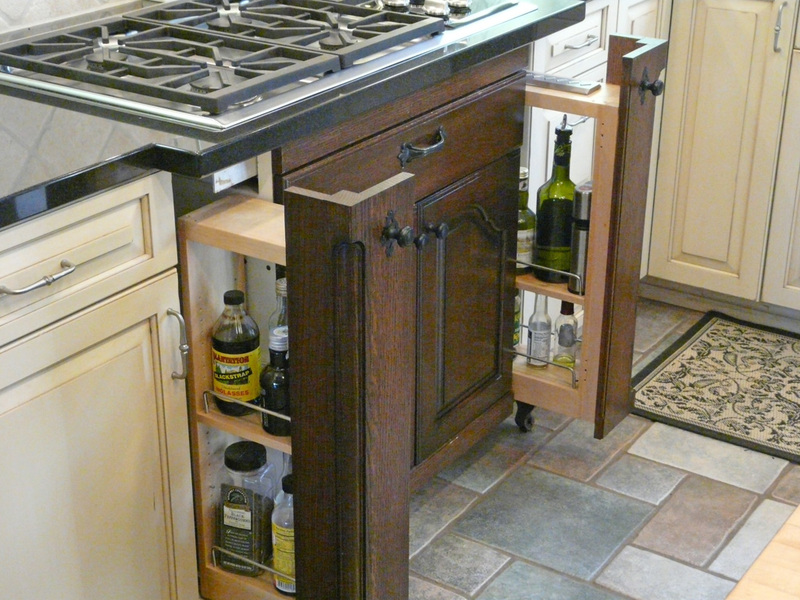 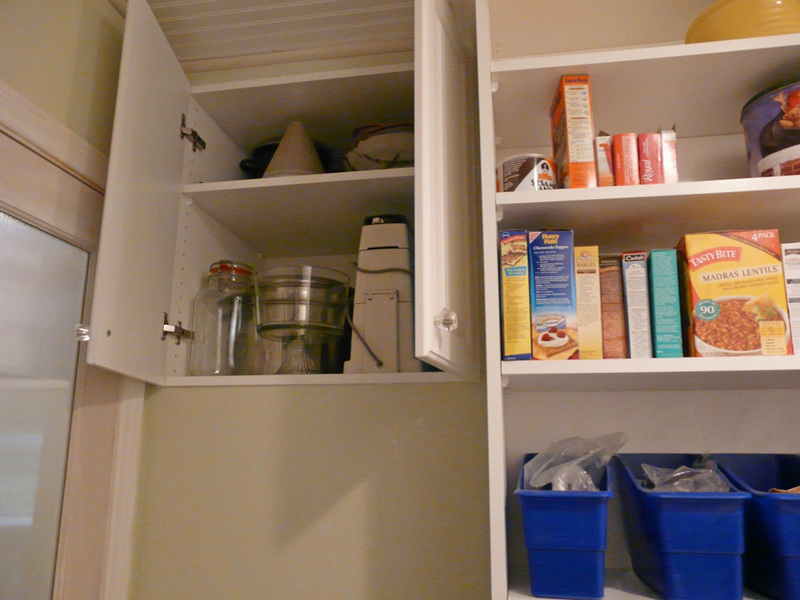 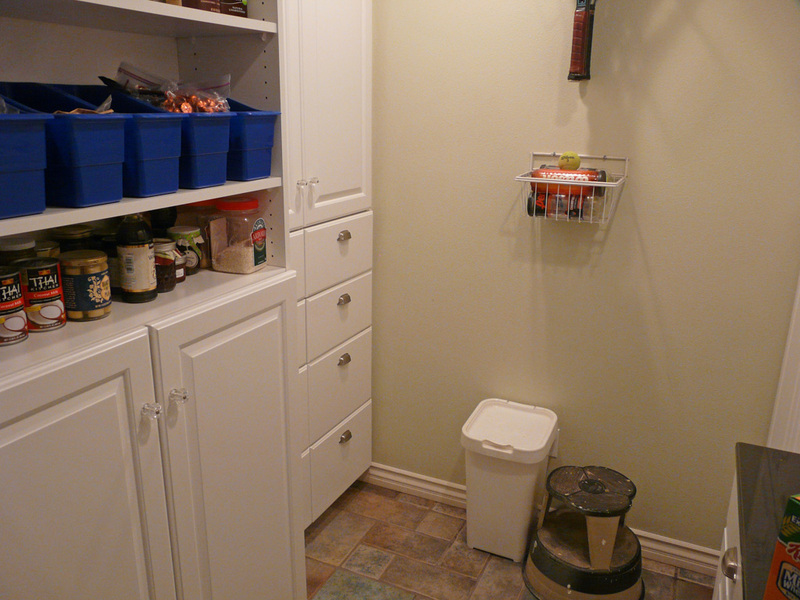 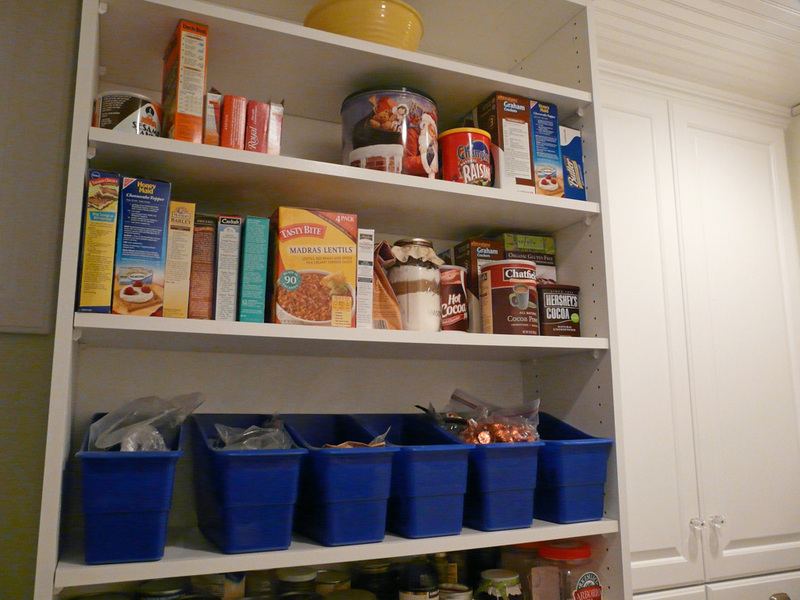 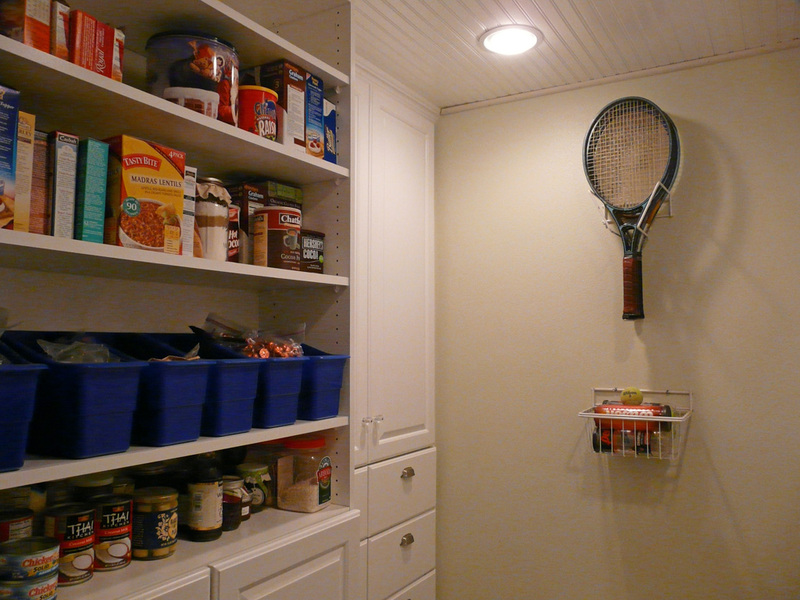 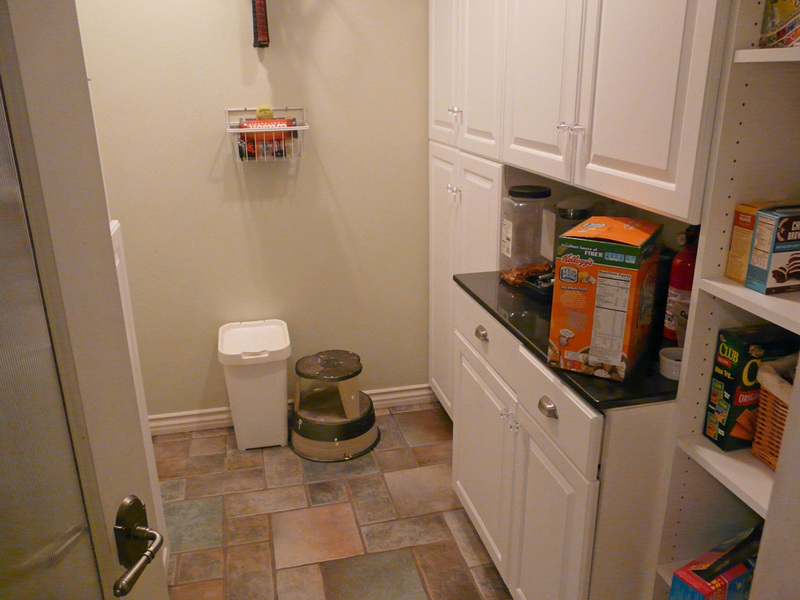 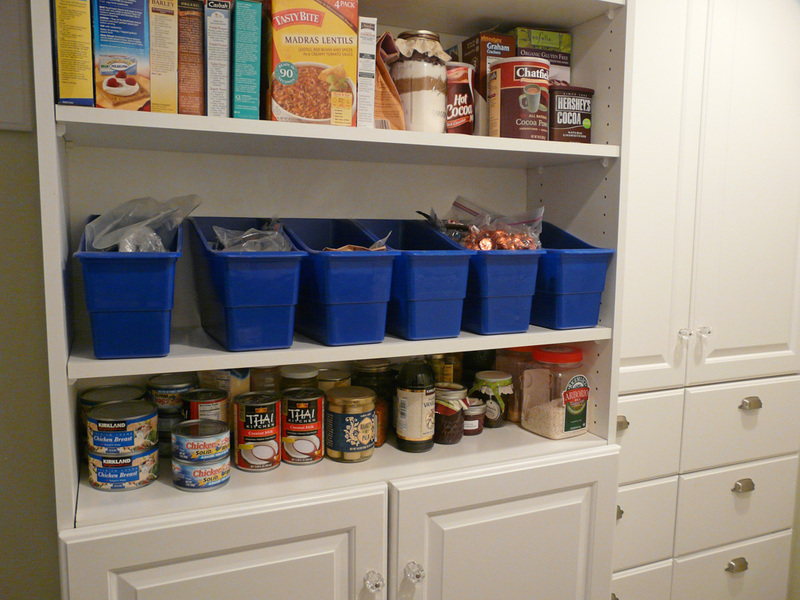 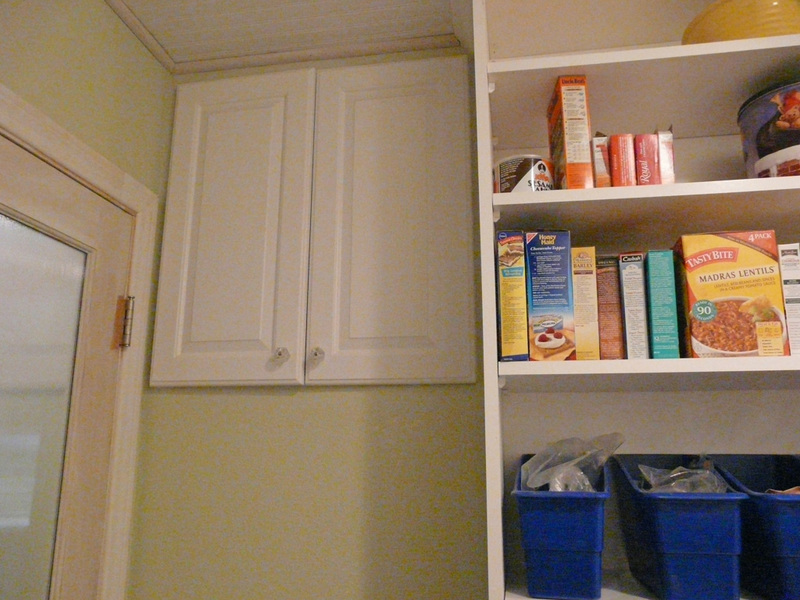 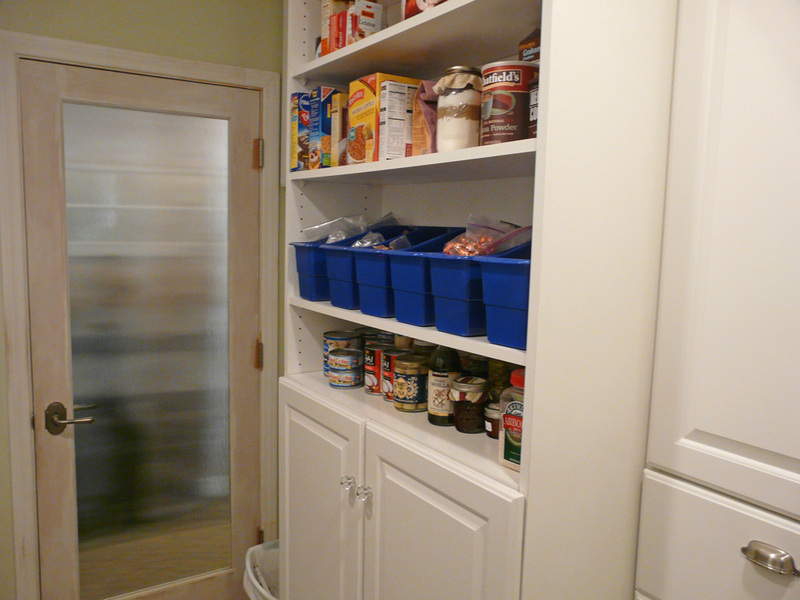 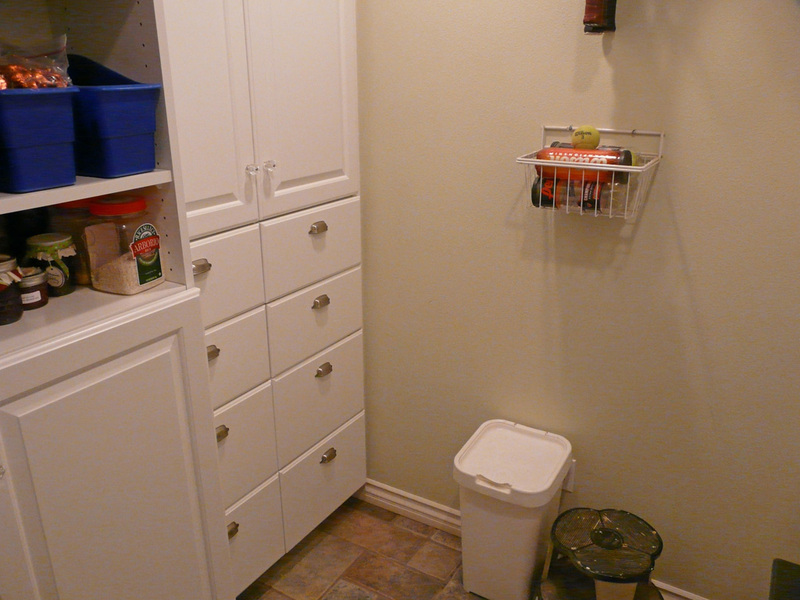 The walk in pantry was completely redone with built in cabinetry specifically designed for the homeowners storage needs. 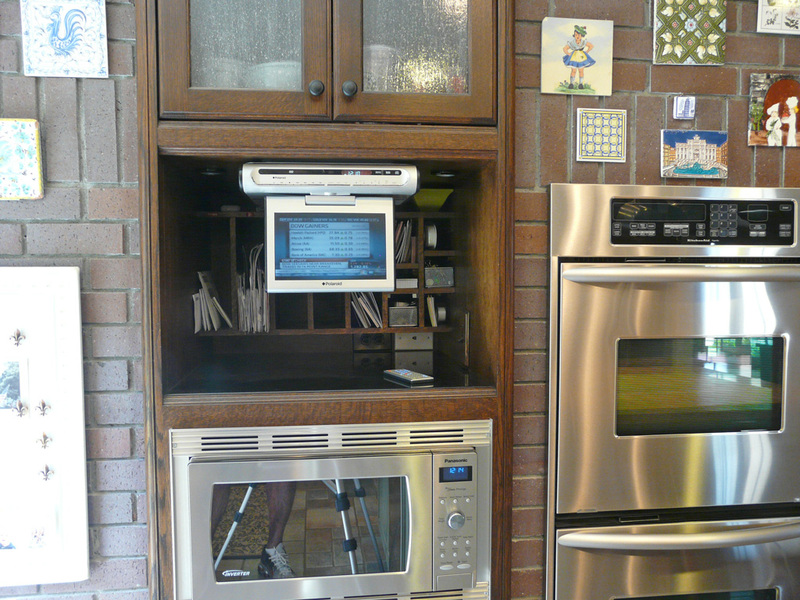 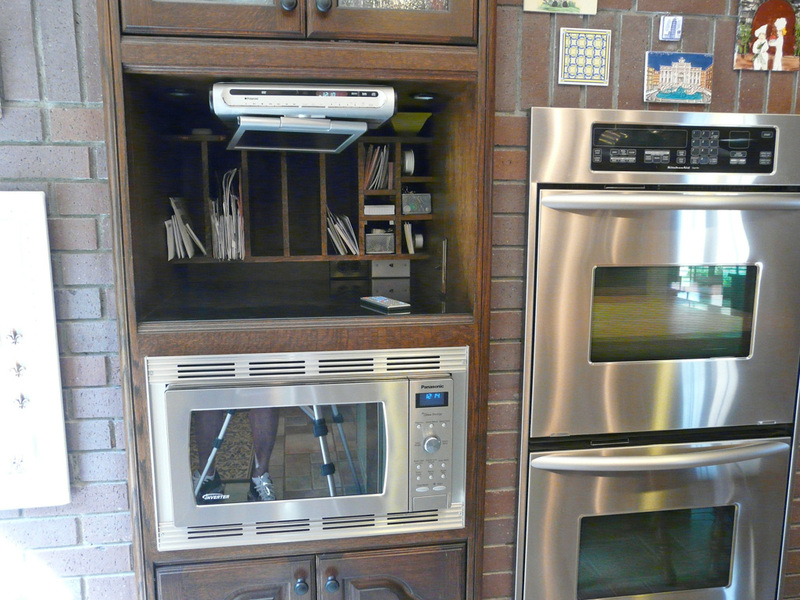 We also captured some originally lost space above the ovens in the kitchen due to the original brick veneered wall, which needed to be patched and modified slightly due to the new ovens size and the addition of the custom dark quarter sawn oak combination cabinet, part display, part storage, part mail and note center, and part TV and phone center.